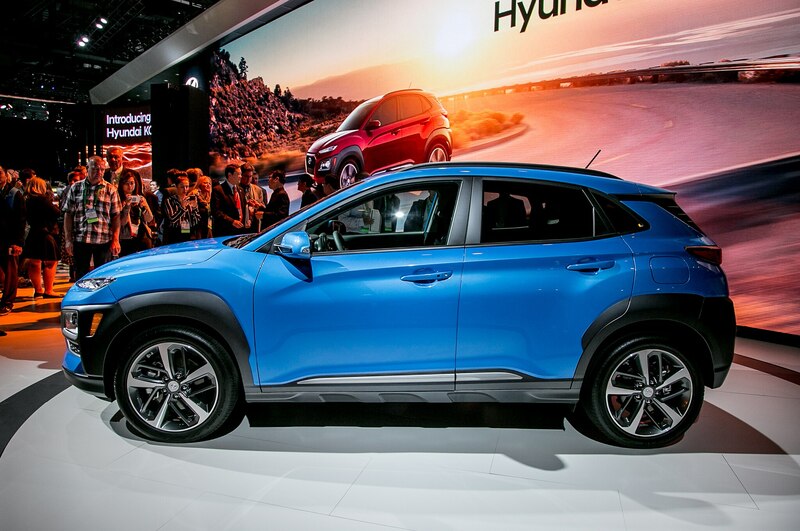 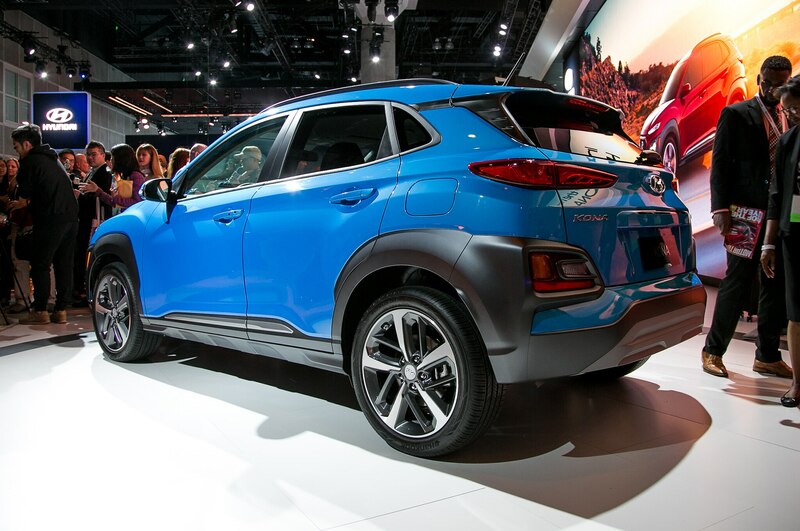 Korea’s subcompact crossover arrives in L.A. 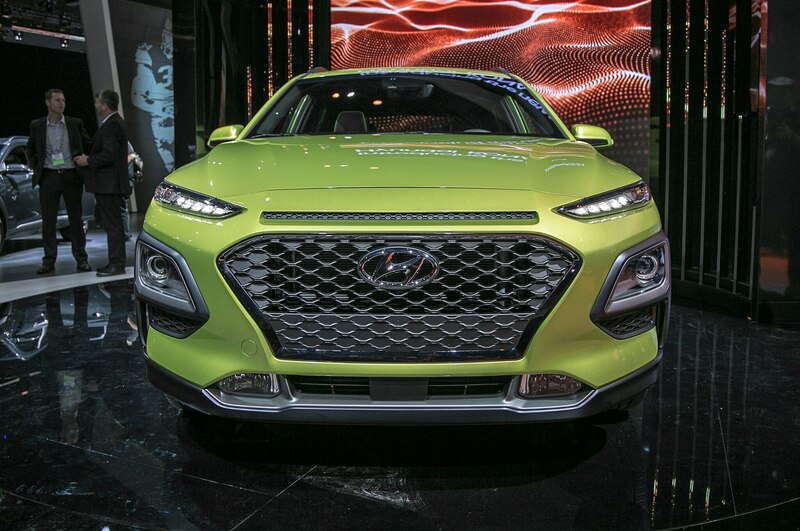 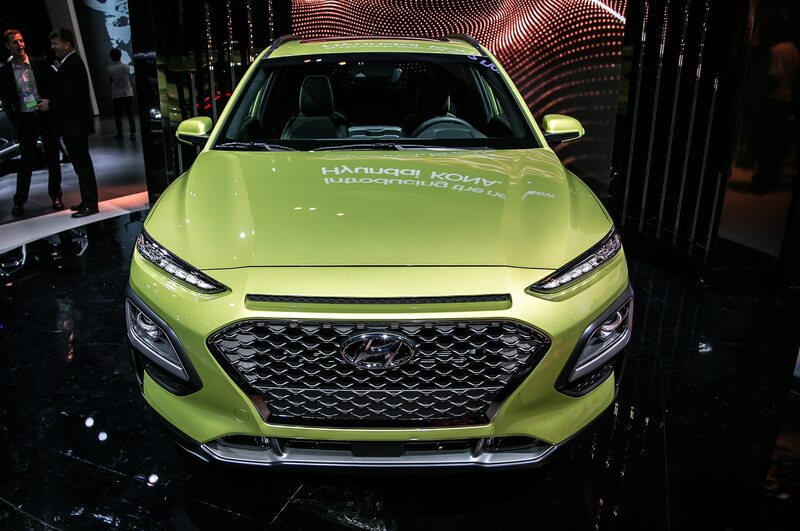 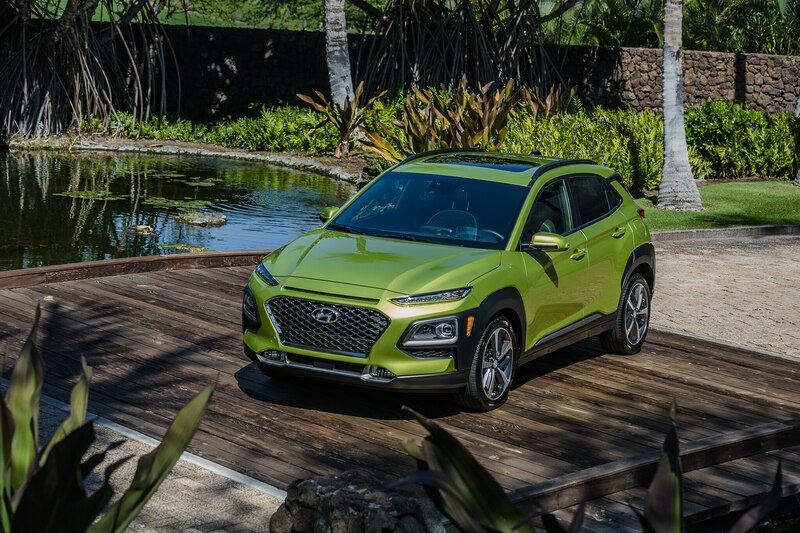 Finally, after a few international debuts and test drives, we finally catch sight of the 2018 Hyundai Kona destined for the U.S. market. 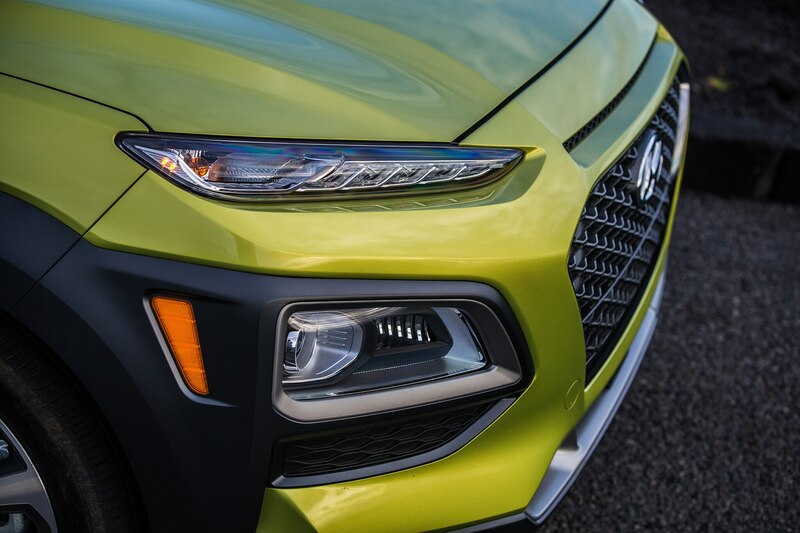 Overall, we’re happy to report the little SUV appears just as stylish and well-packaged as the pre-production examples were. 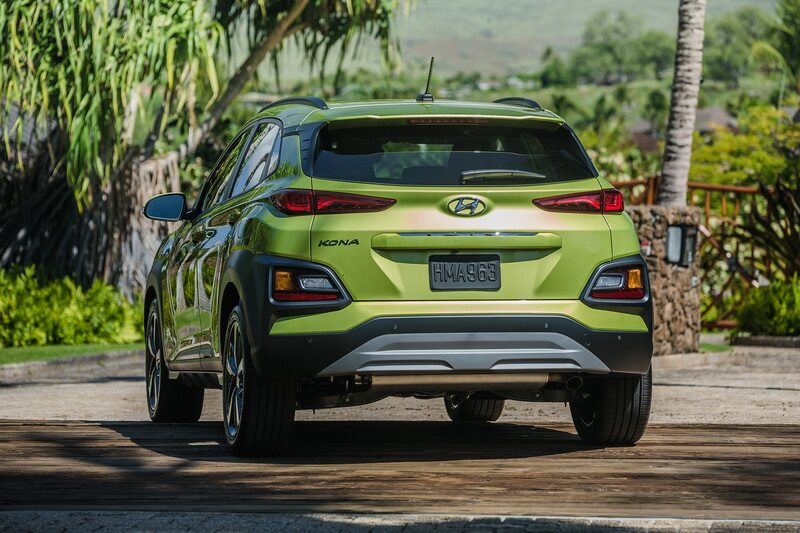 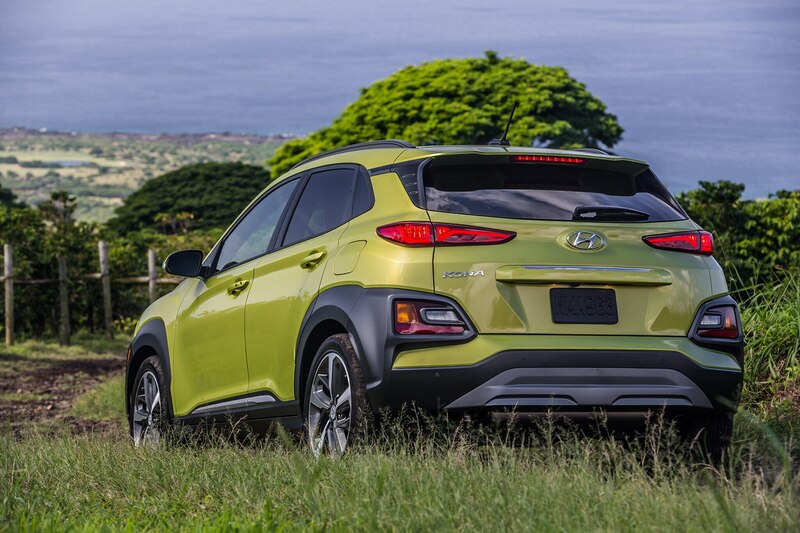 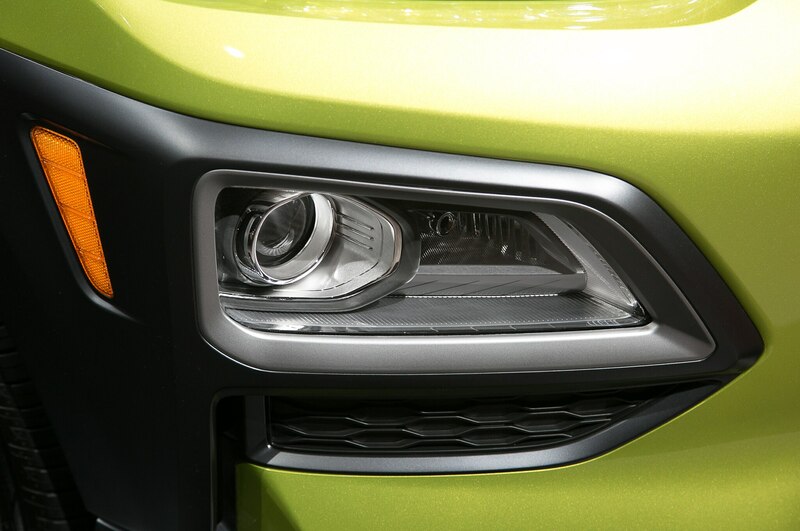 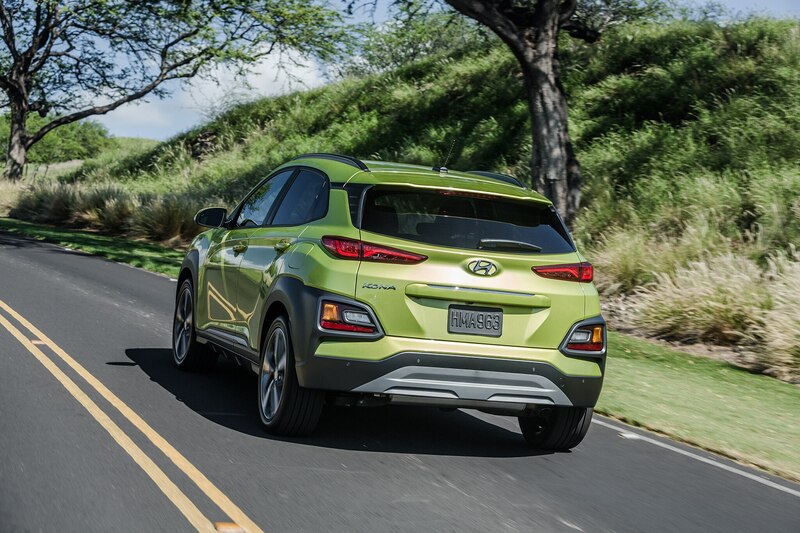 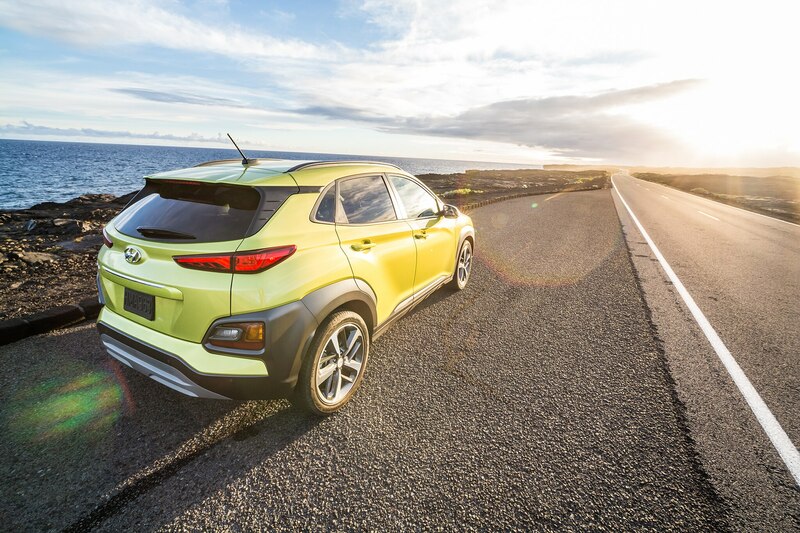 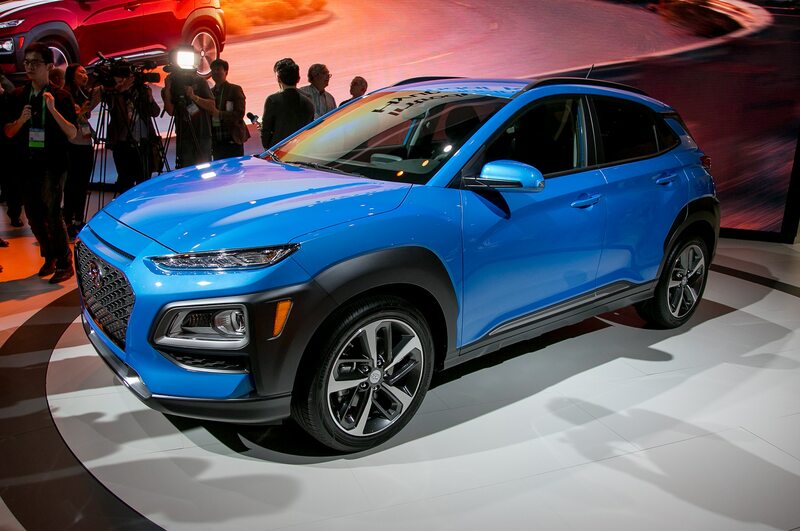 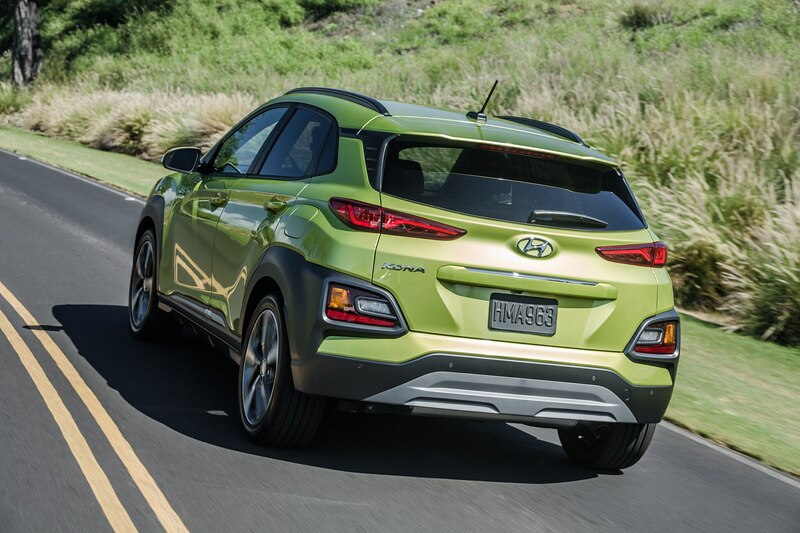 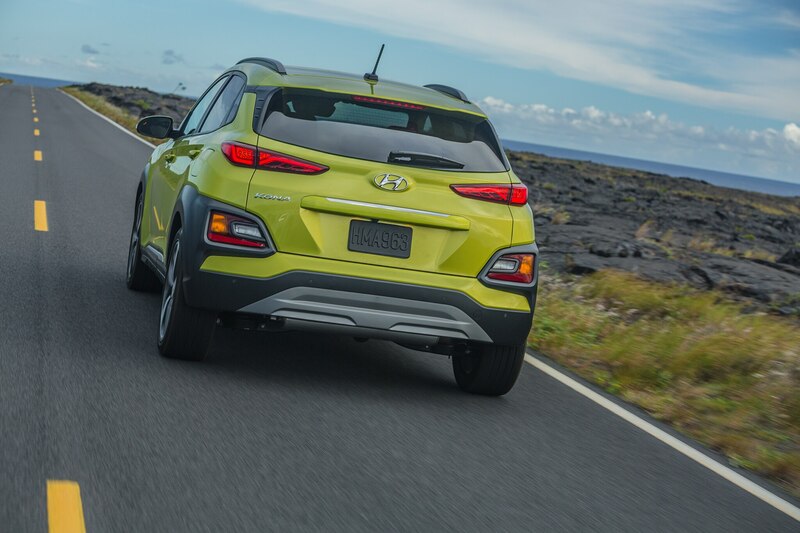 Visually, the Americanized Kona appears indistinguishable from the car we saw earlier this year. 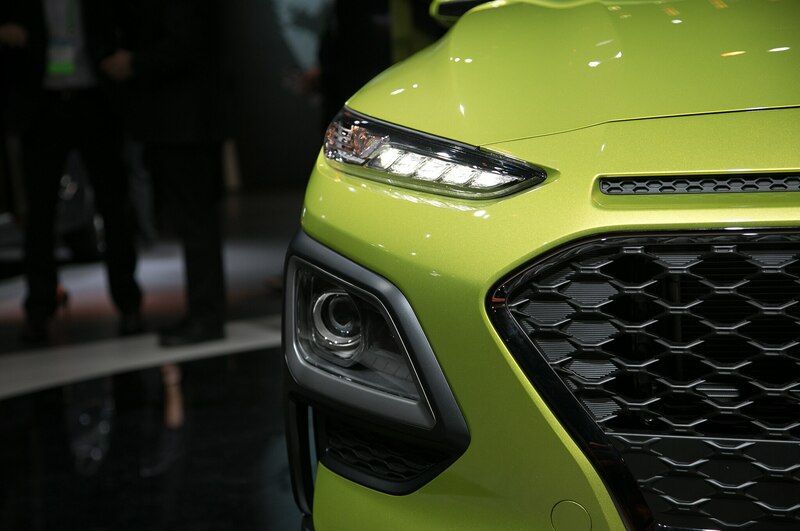 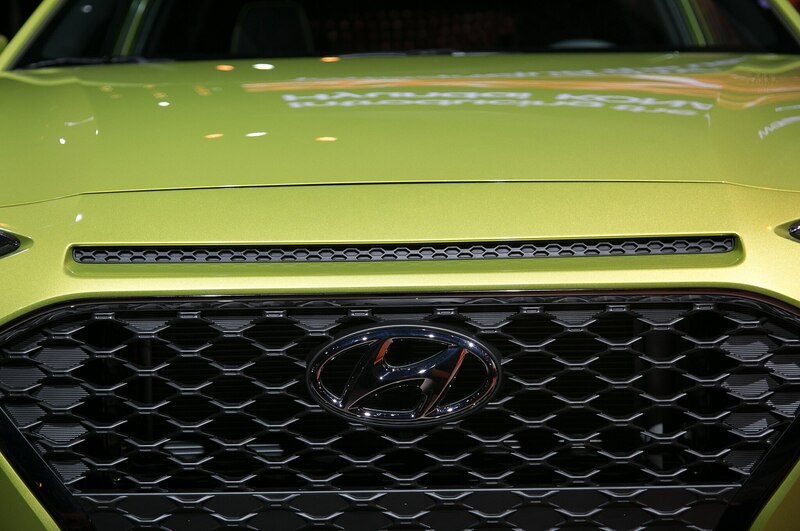 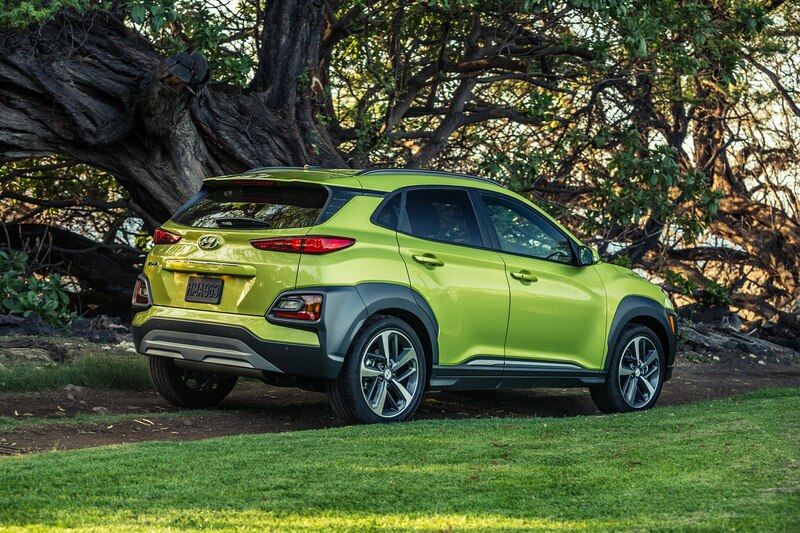 The design is unmistakably Hyundai, but not homogeneous enough to make it look like a scaled-down Tucson. 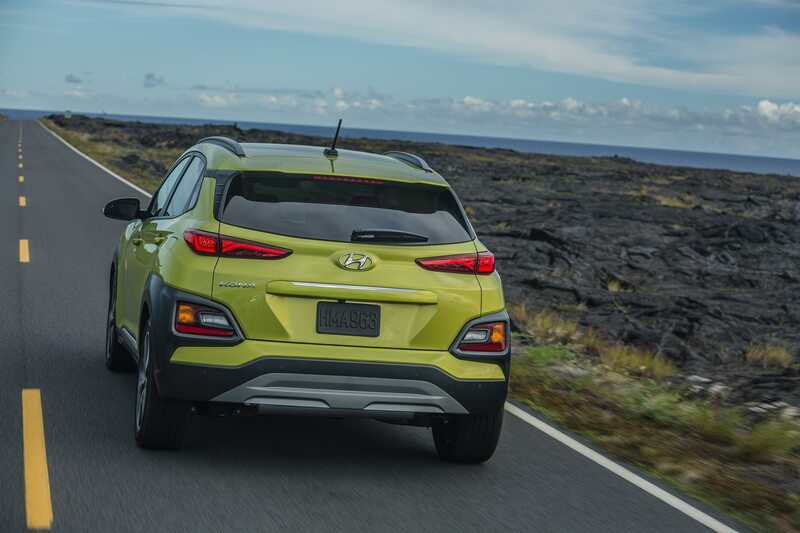 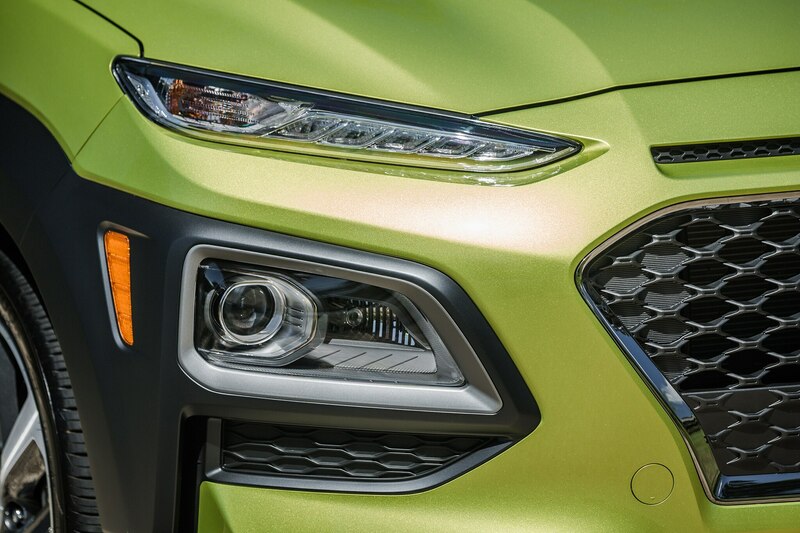 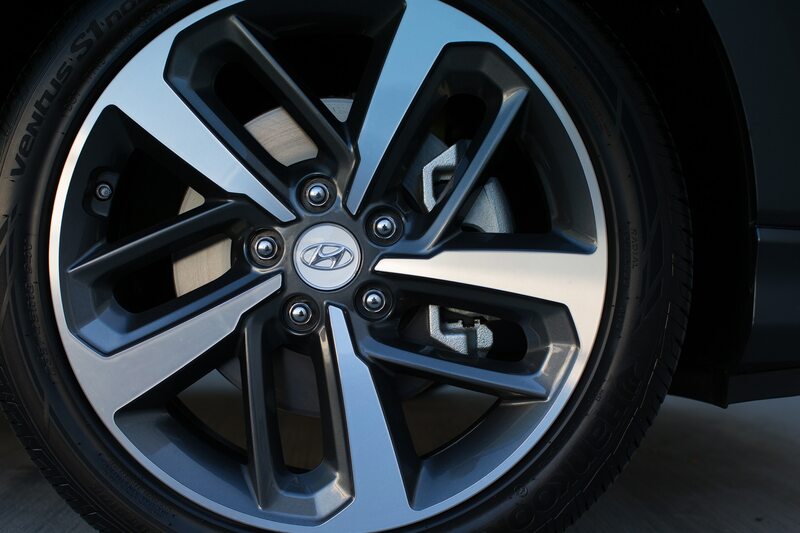 It’s more aggressive than other Hyundai crossovers–think more lifted Veloster and less Santa Fe. 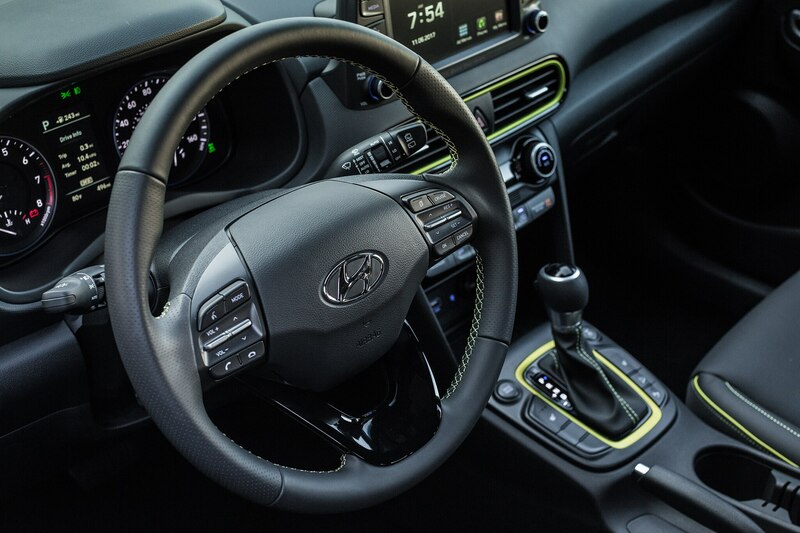 Inside the Kona is a stylish and well-designed cockpit. 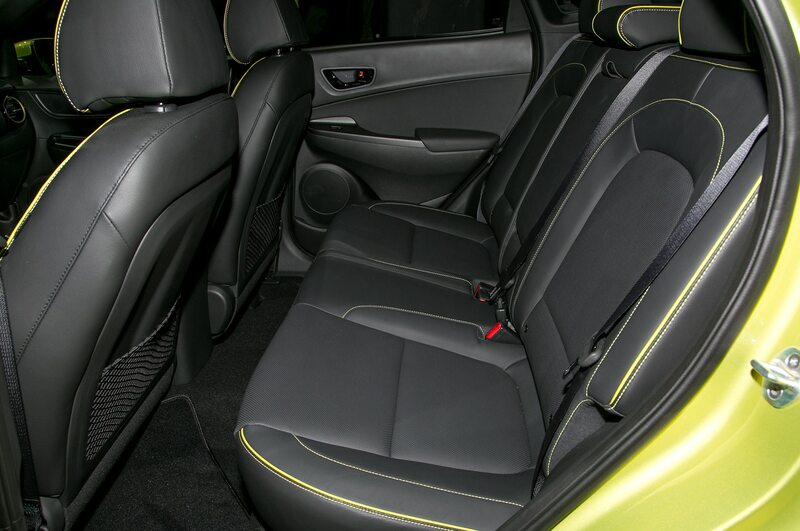 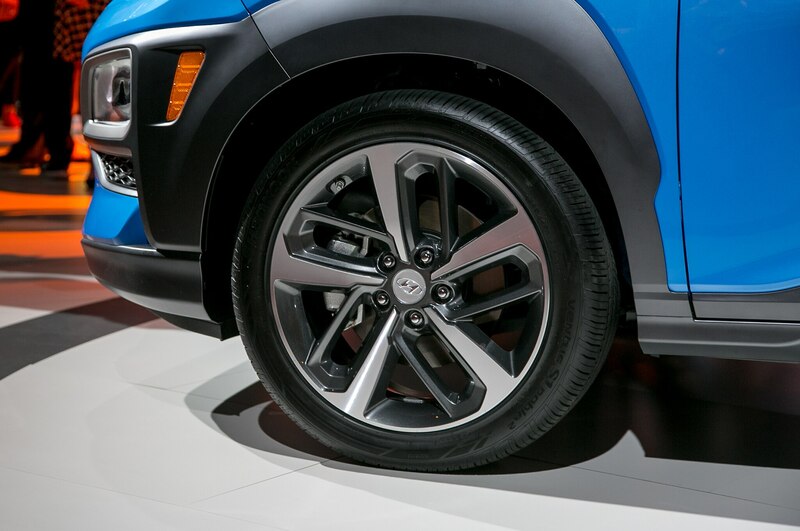 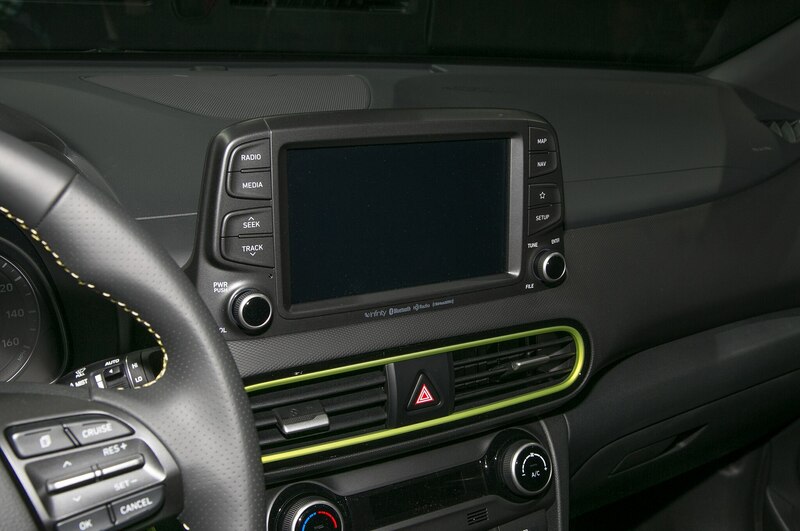 Curved surfaces and contoured trim pieces create a sportier environment that matches the exterior. 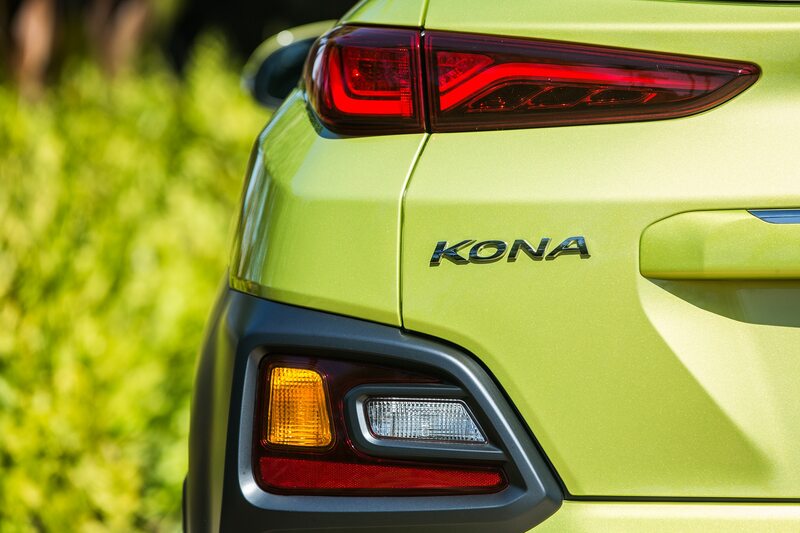 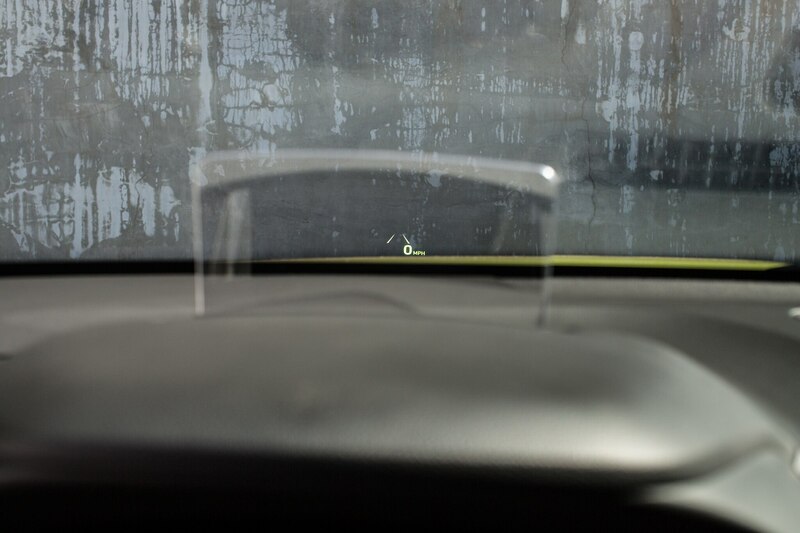 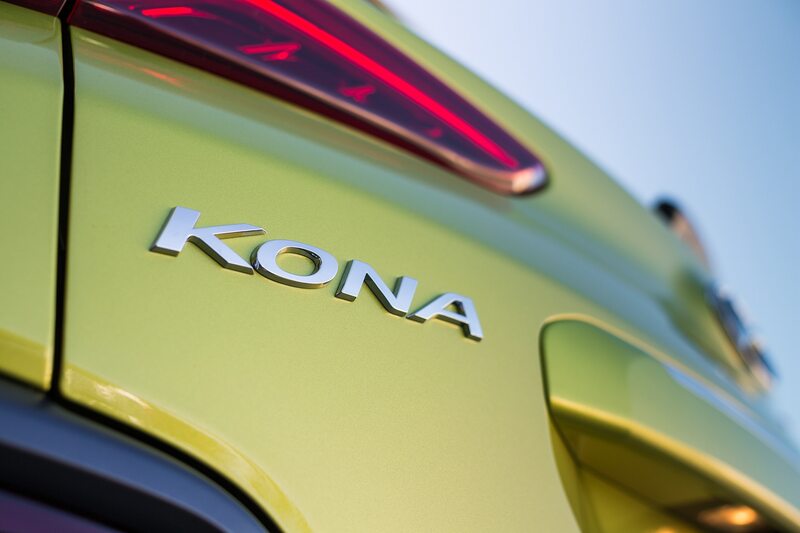 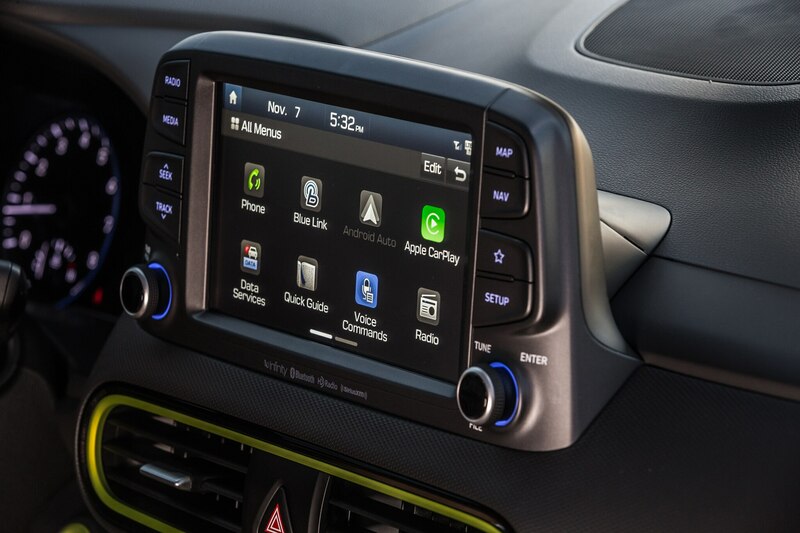 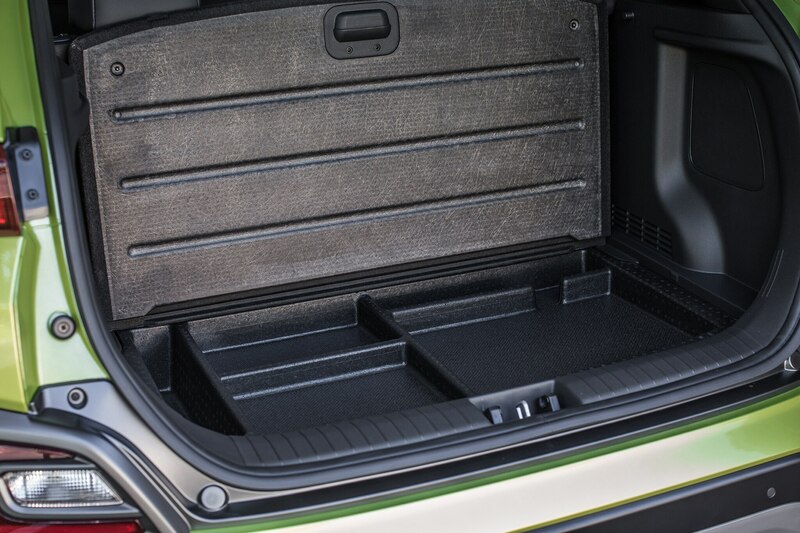 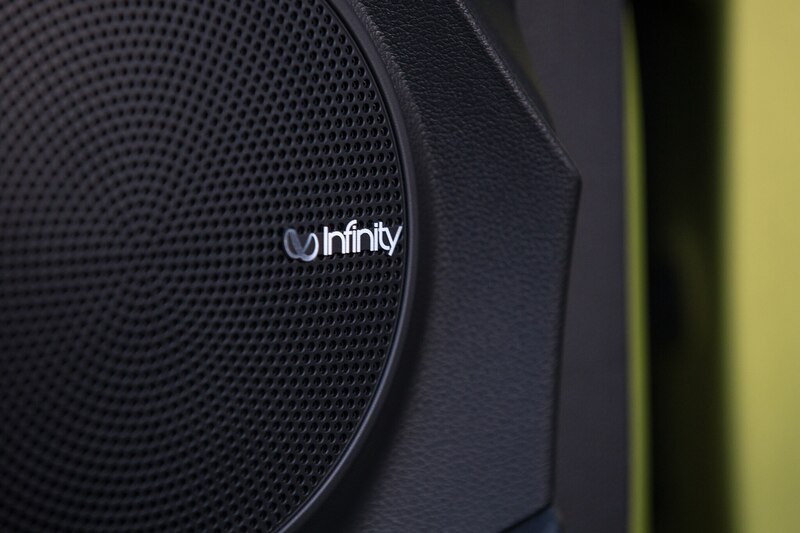 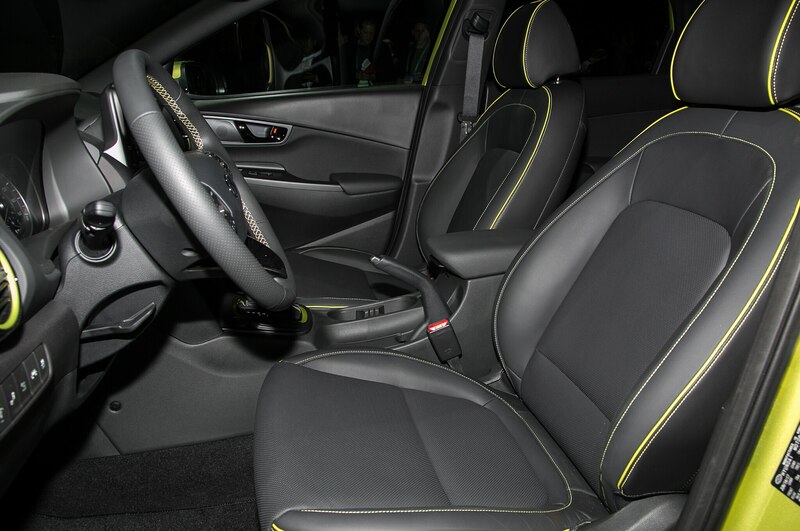 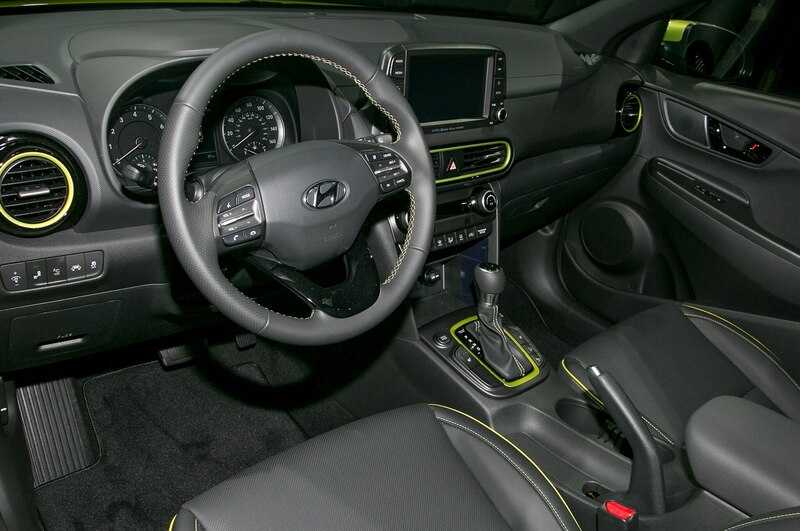 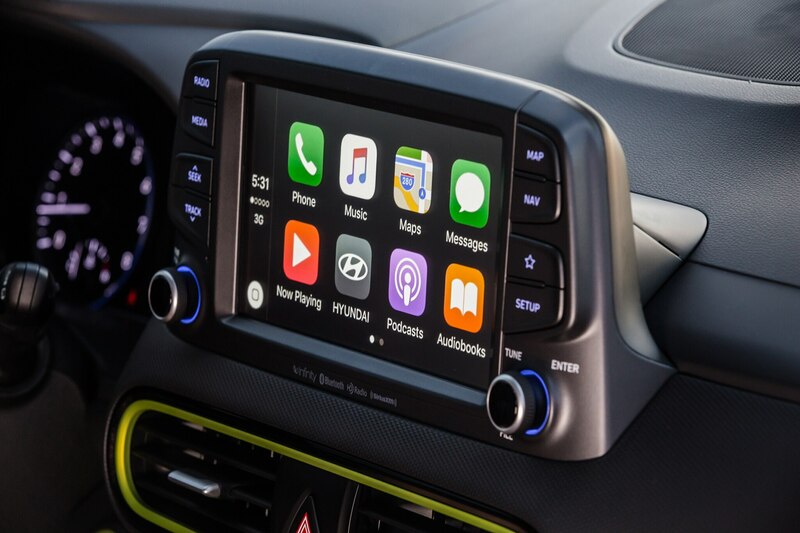 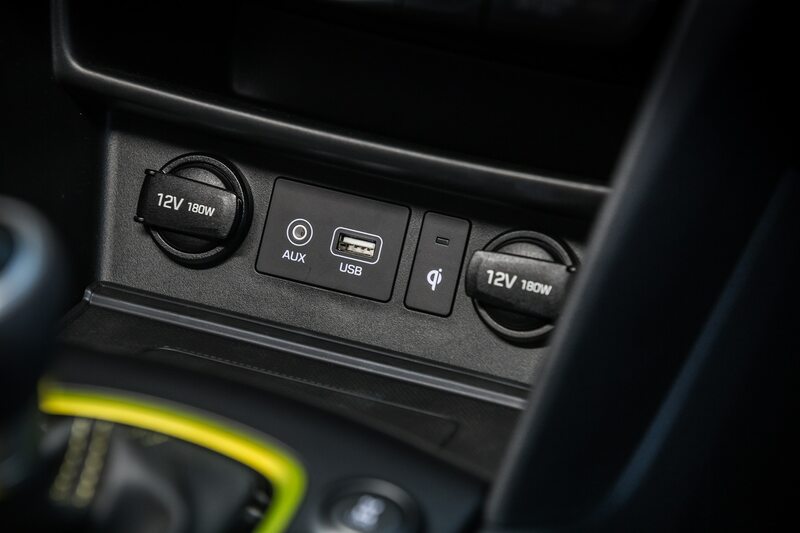 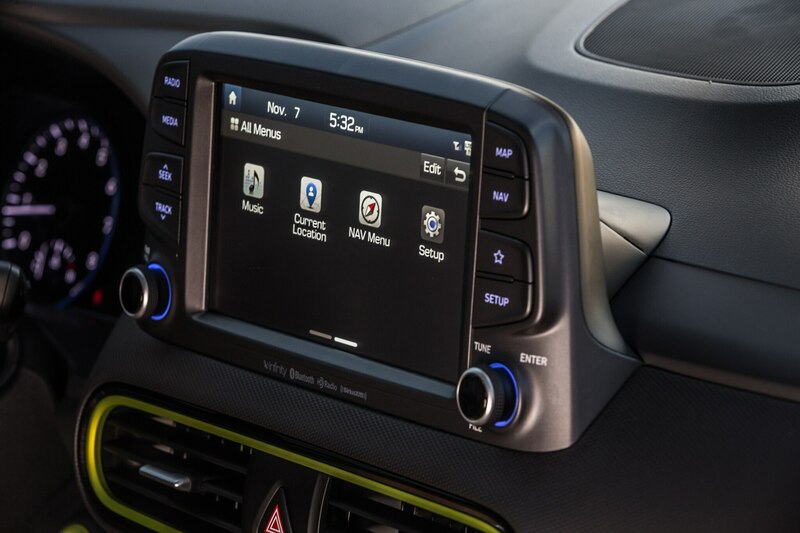 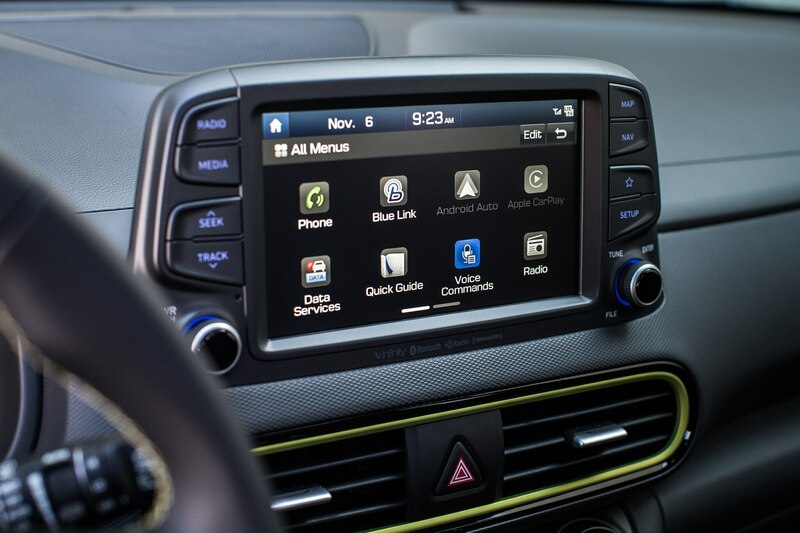 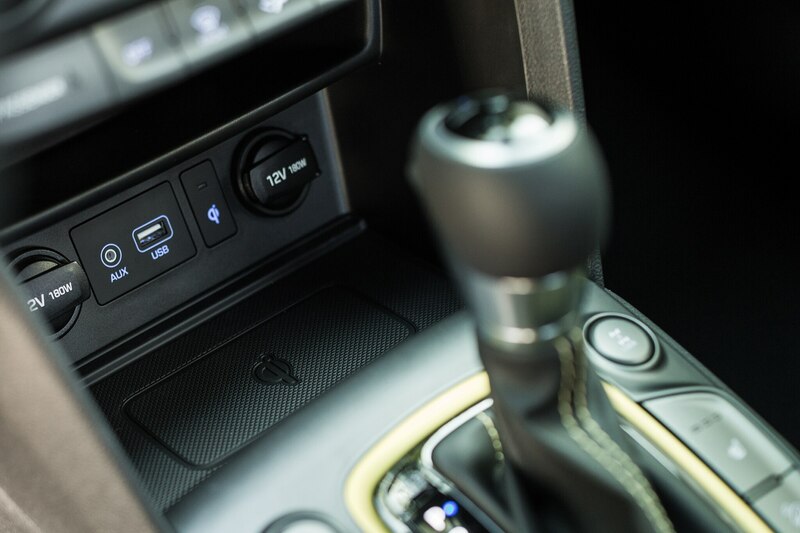 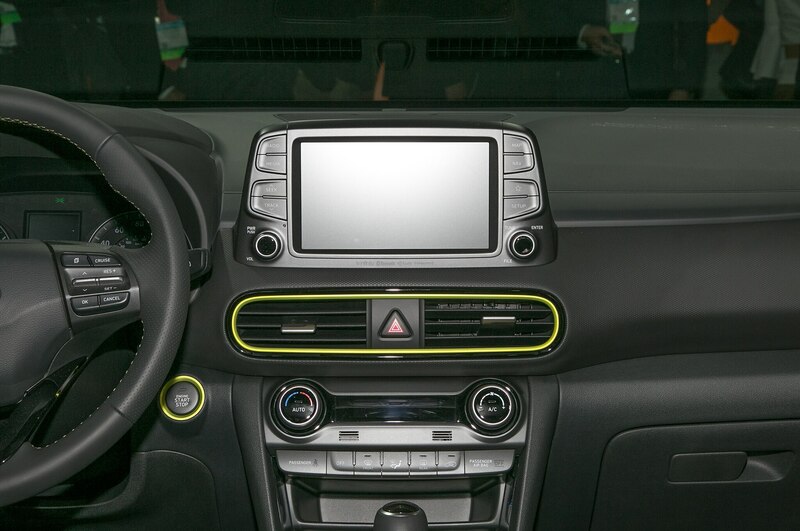 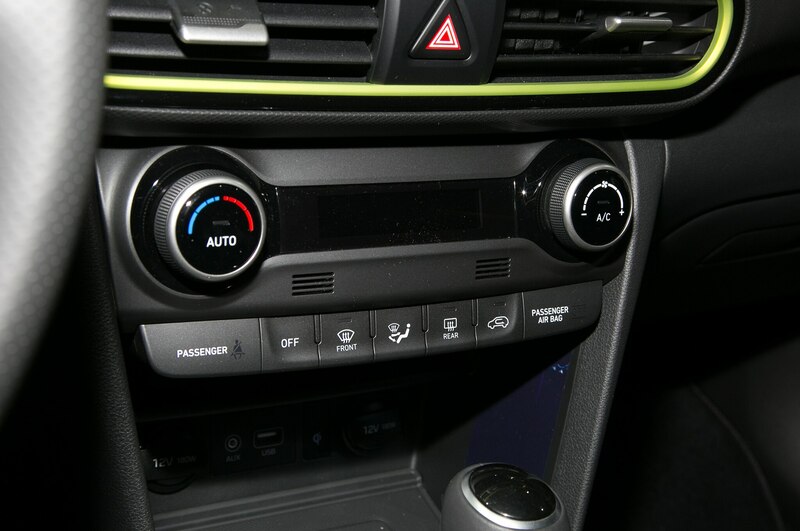 Each Kona arrives with a standard touchscreen infotainment system packing Apple Car Play and Android Auto. 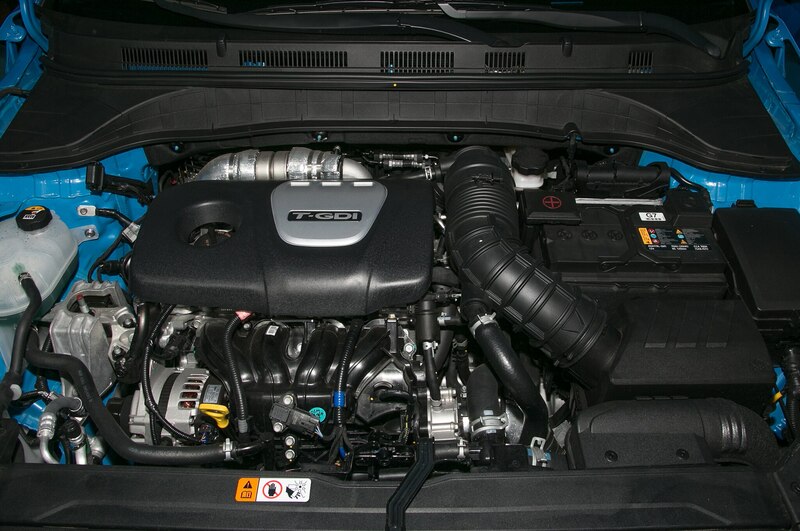 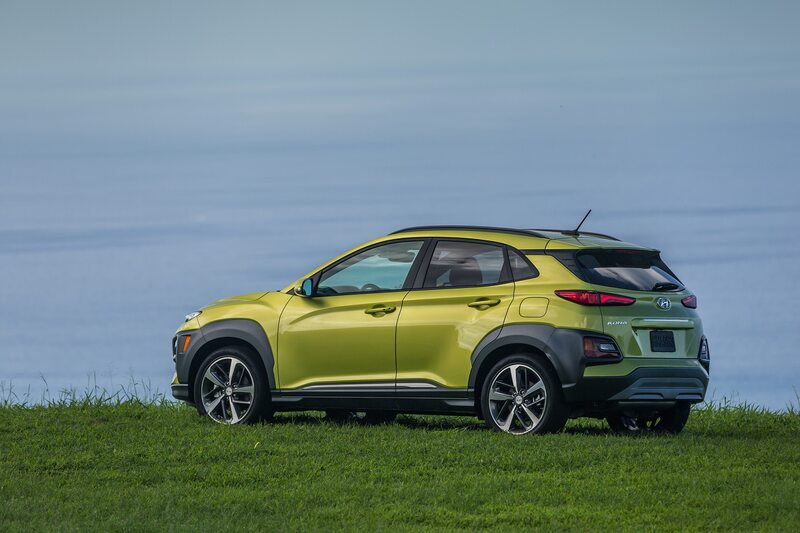 There isn’t a lot of power to be had in this segment, so it’s refreshing to see Hyundai offer two different engines. 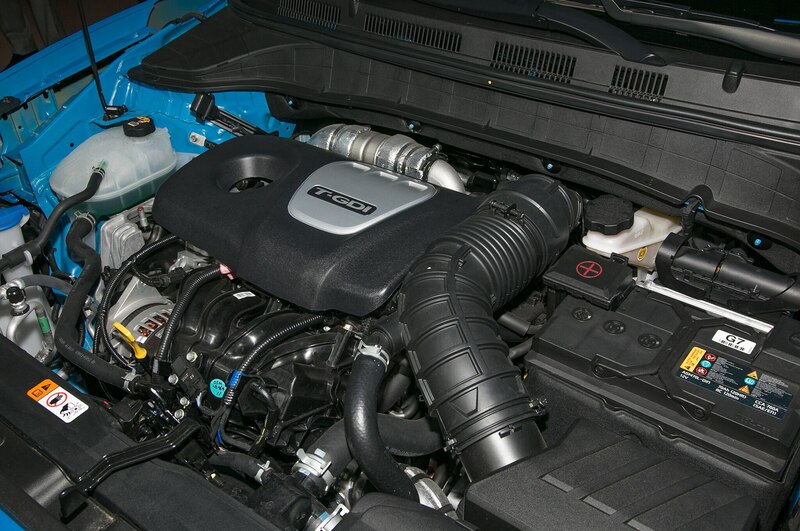 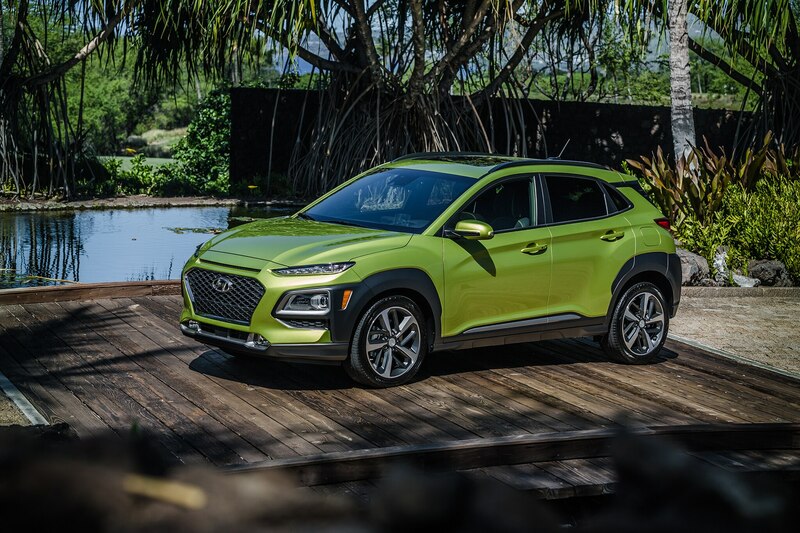 Stick with the base engine and power comes from a 2.0-liter naturally aspirated four-cylinder with 147 hp and 132 lb-ft of torque sent to the front wheels through a six-speed automatic transmission. 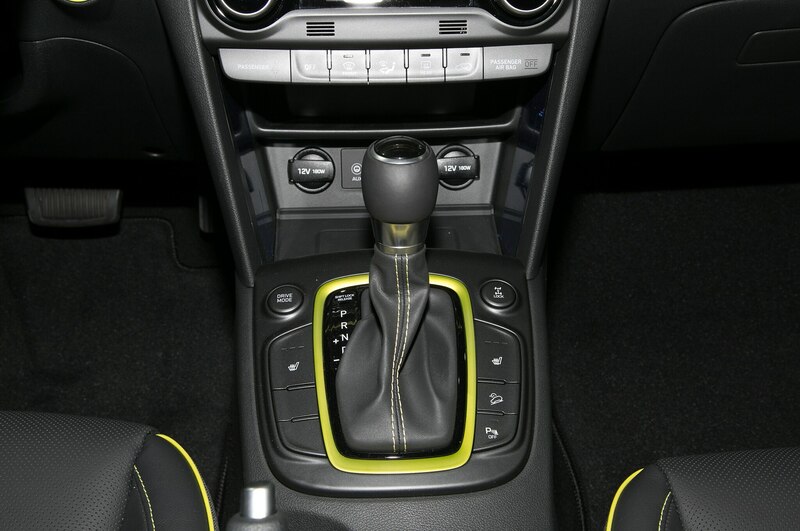 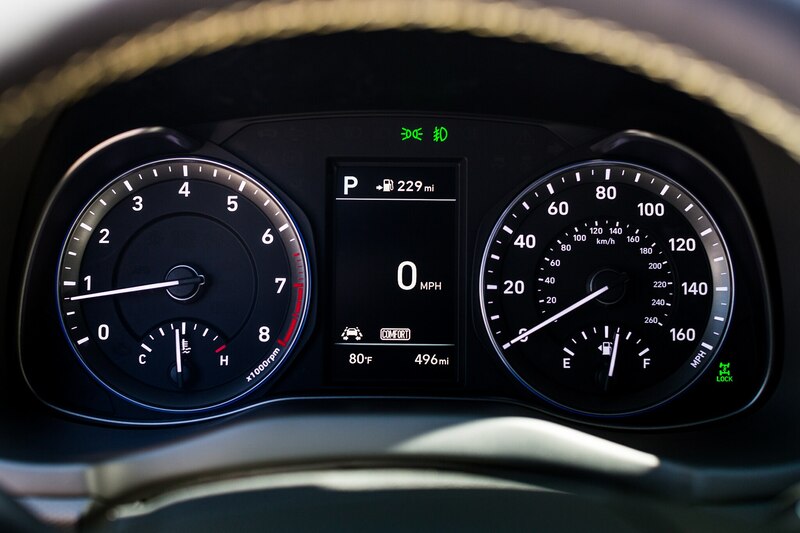 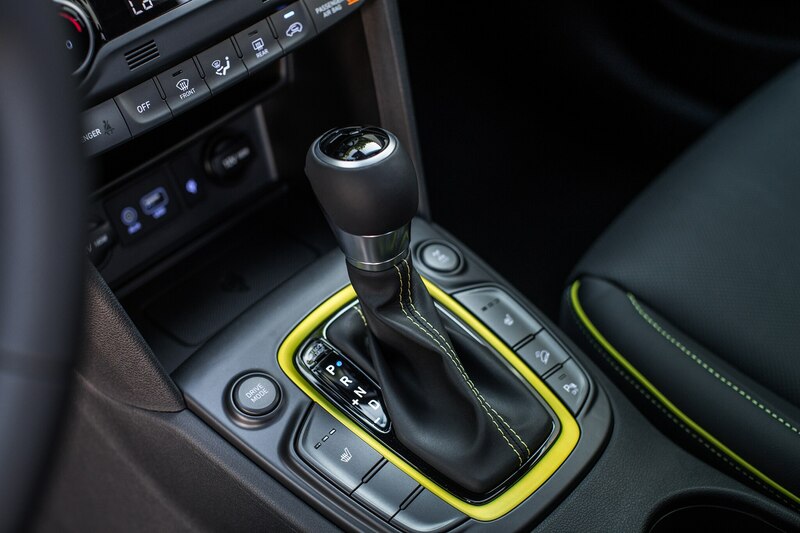 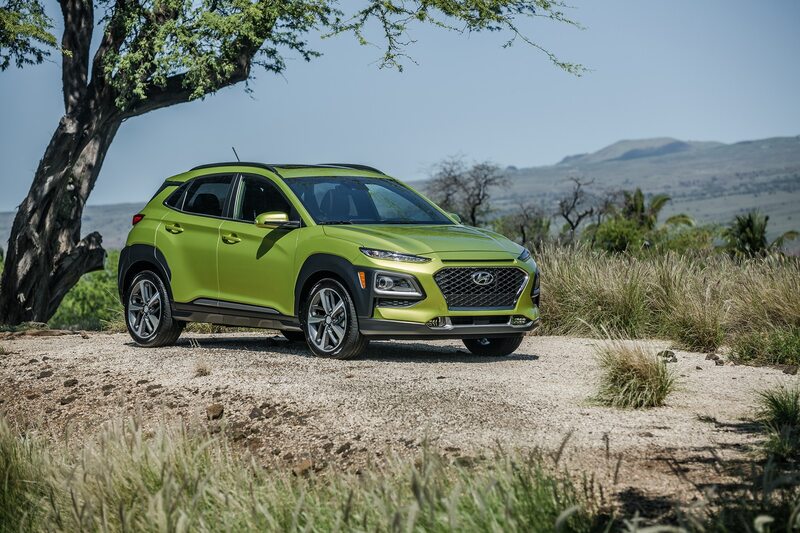 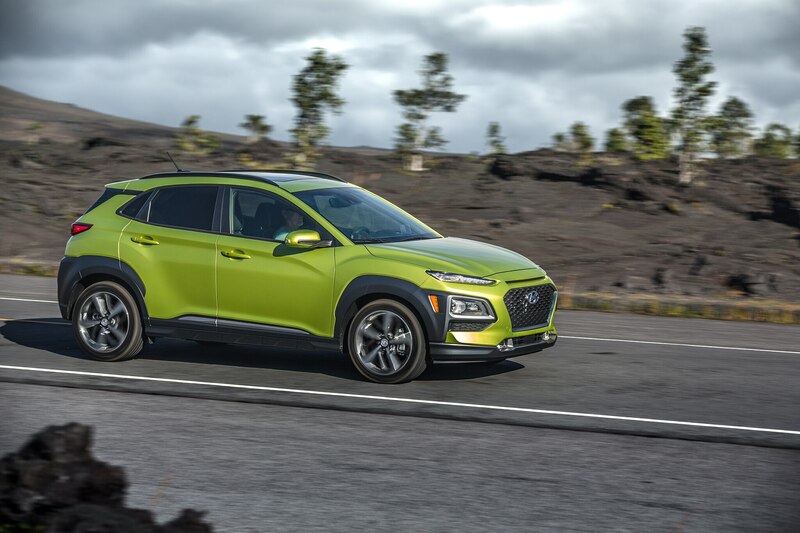 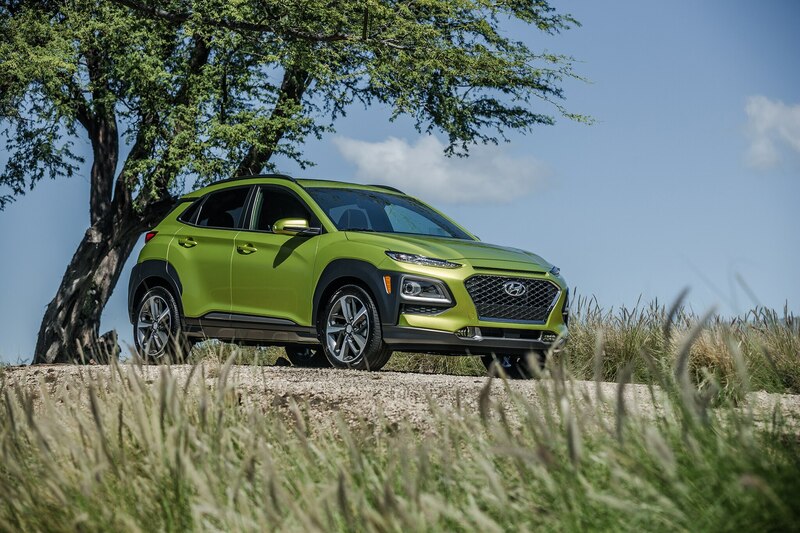 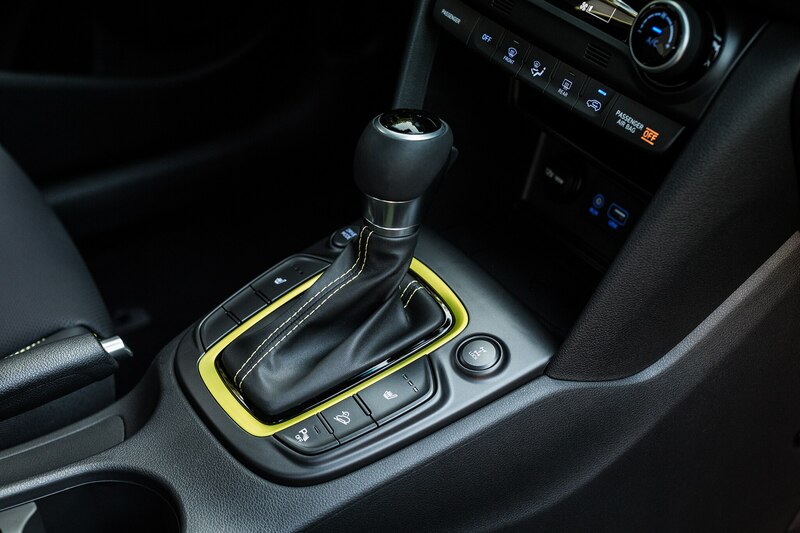 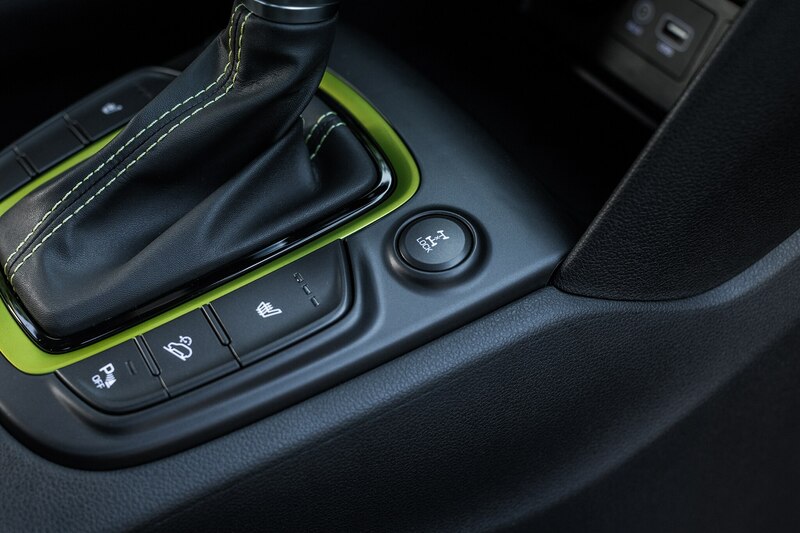 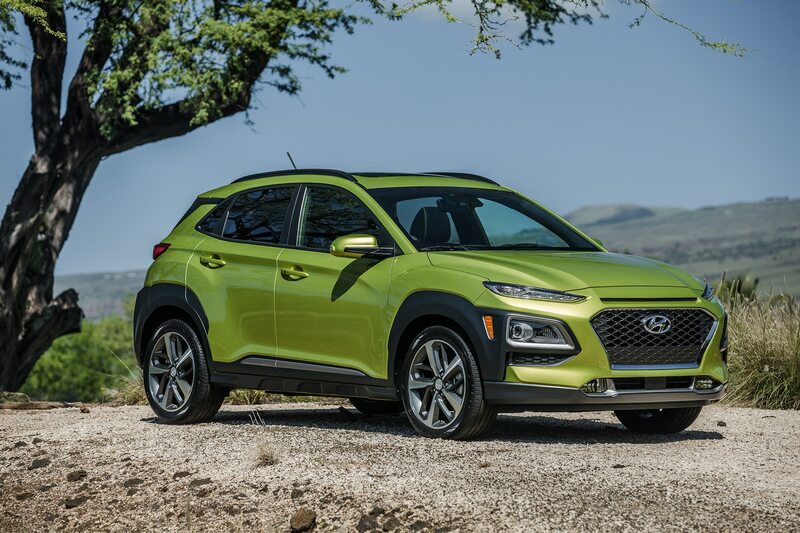 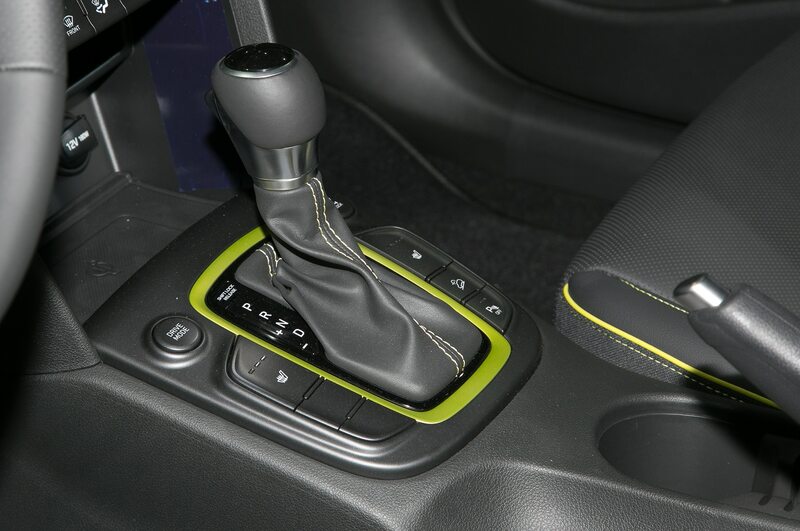 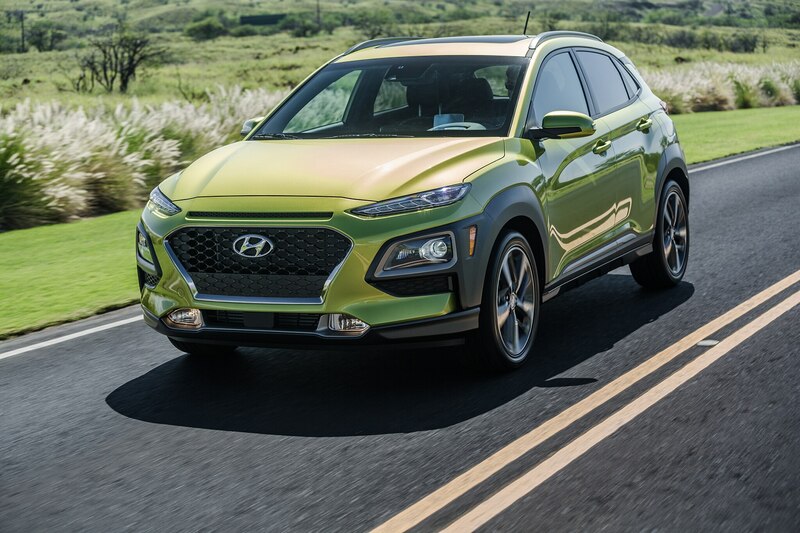 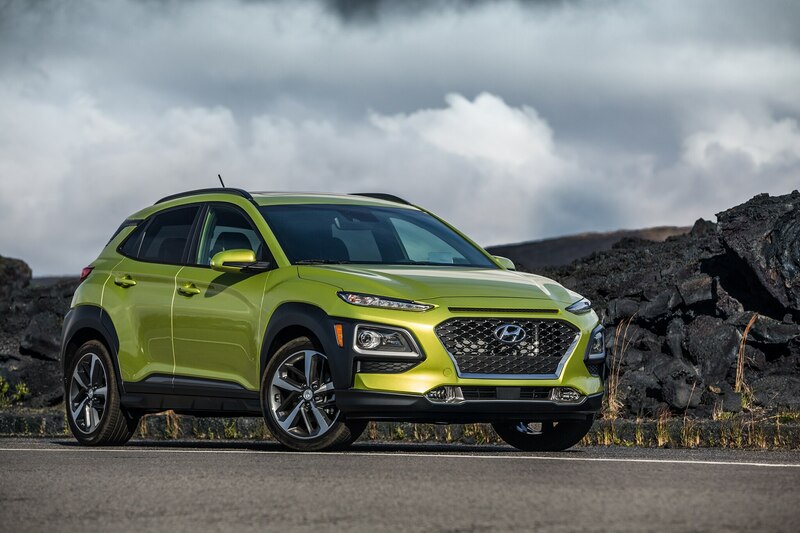 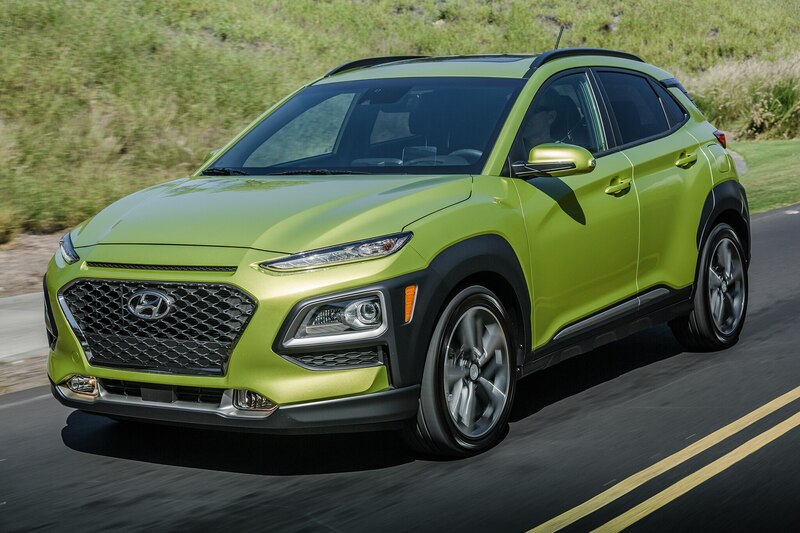 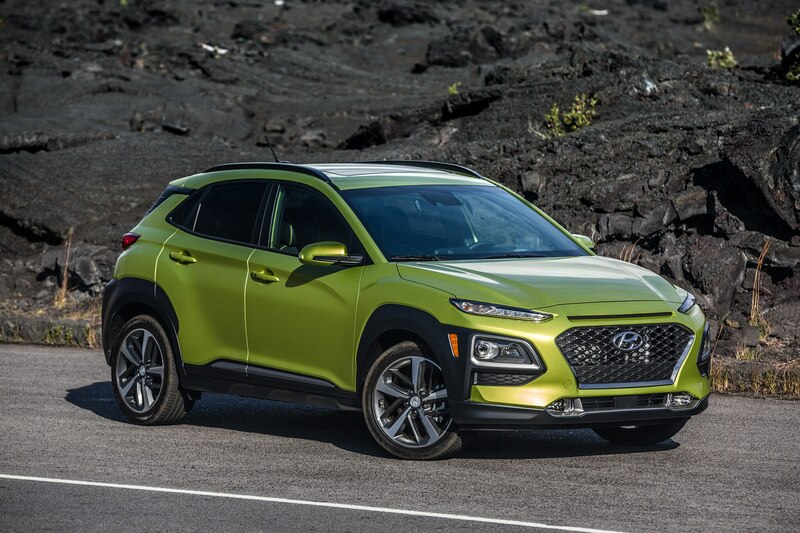 Spend a little more coin and the familiar 1.6-liter turbocharged four-cylinder is introduced, boosting power to 175 hp and 195 lb-ft of torque, now managed by Hyundai’s excellent seven-speed dual-clutch transmission. 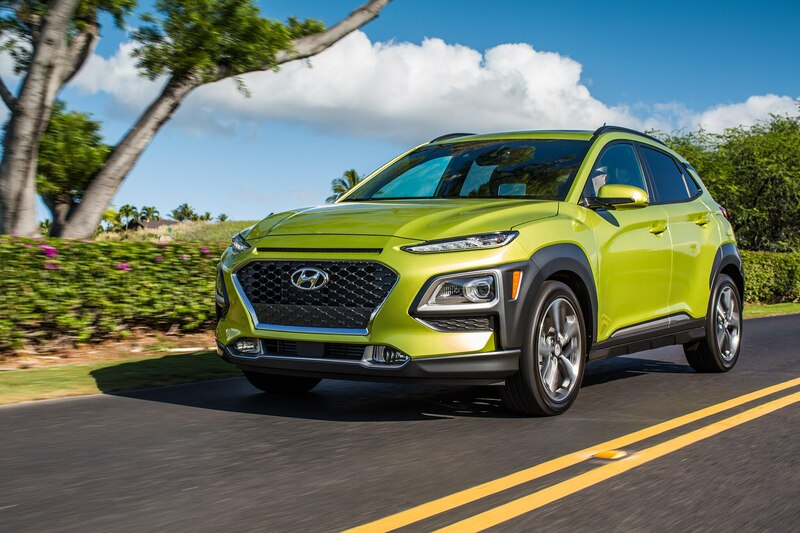 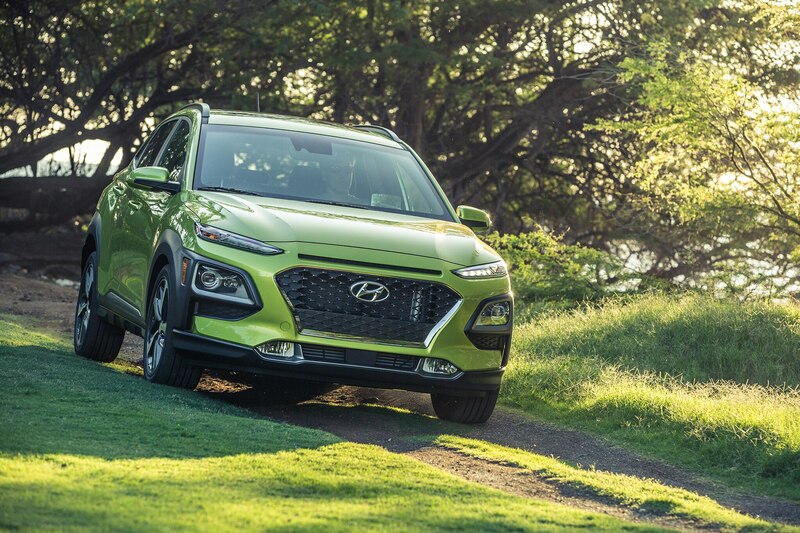 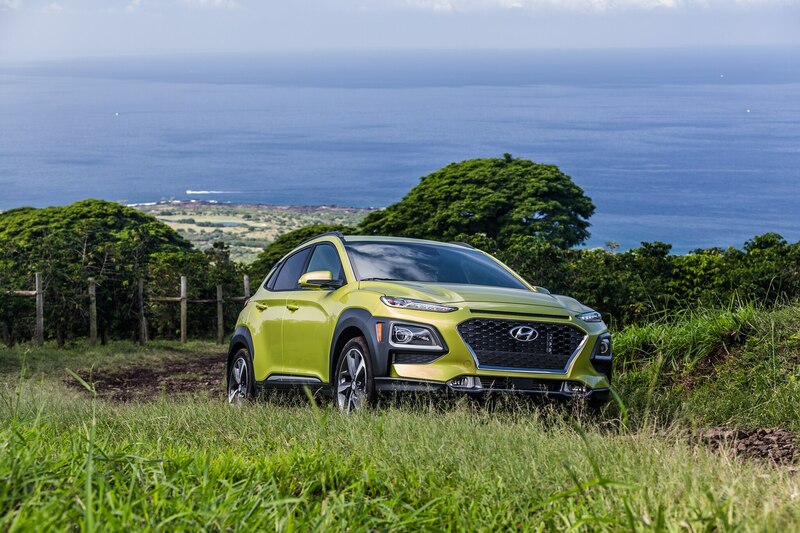 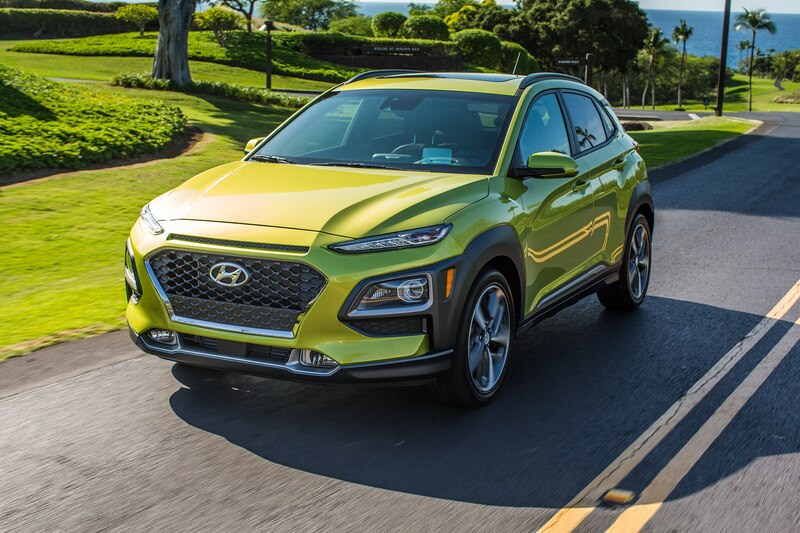 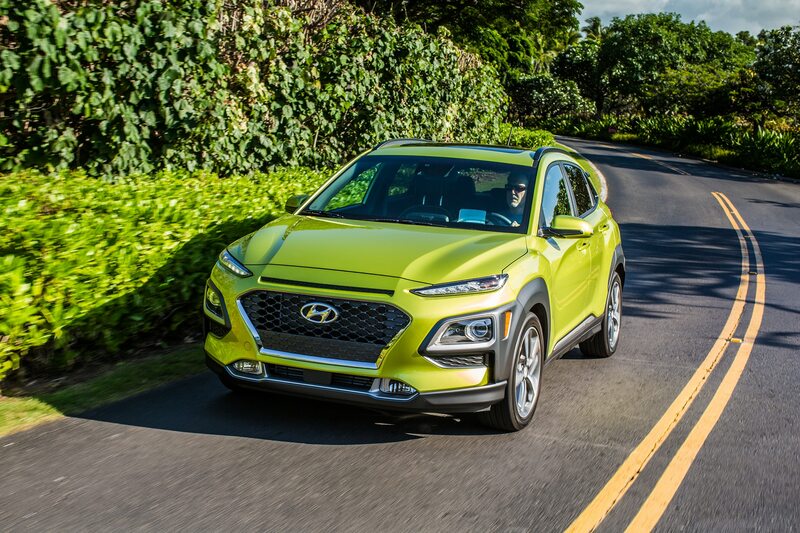 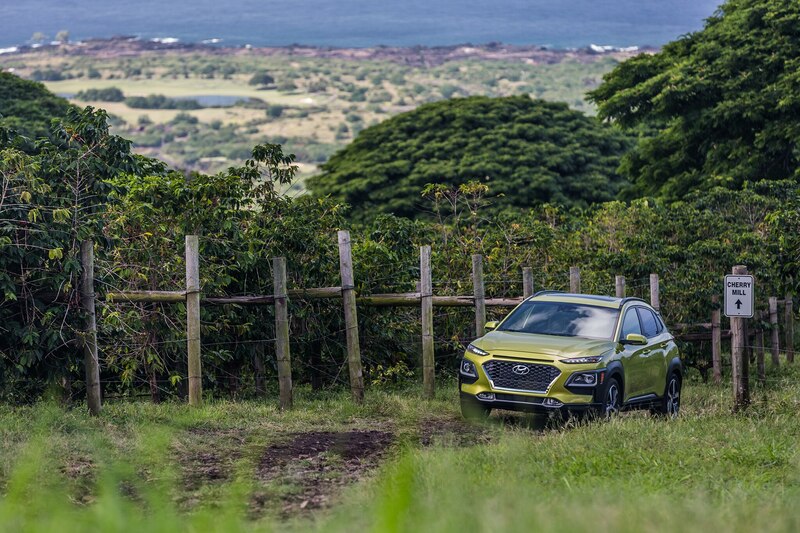 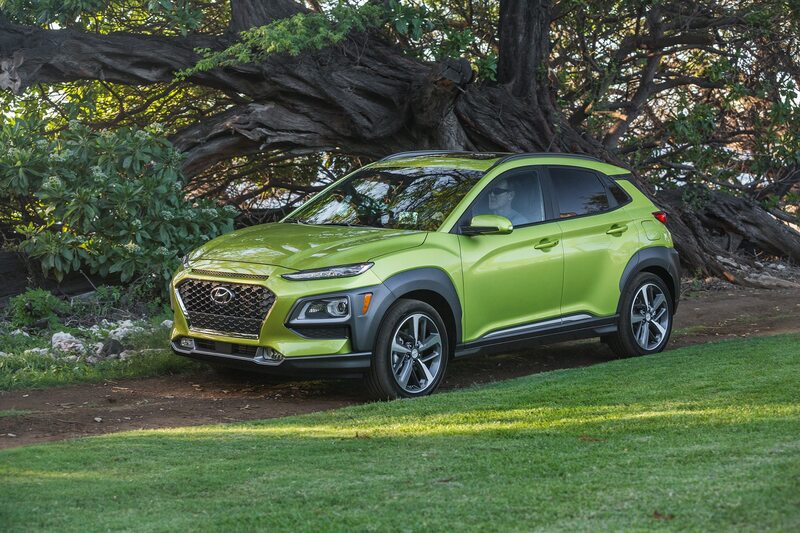 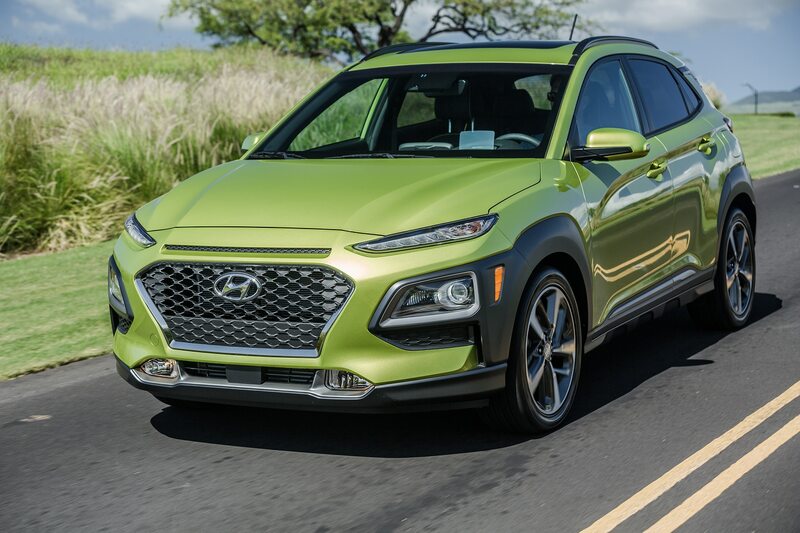 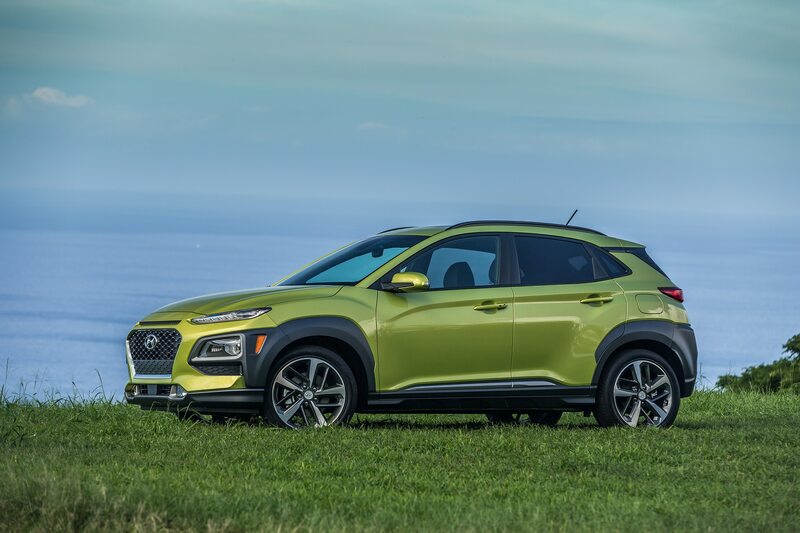 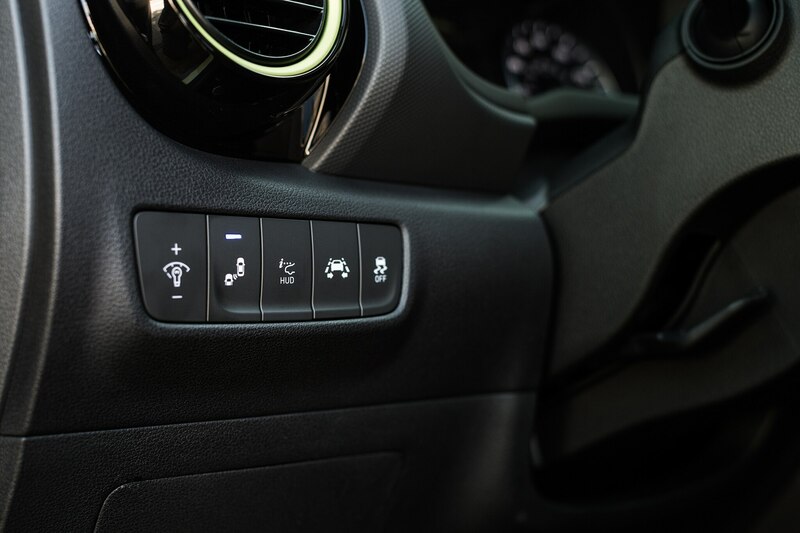 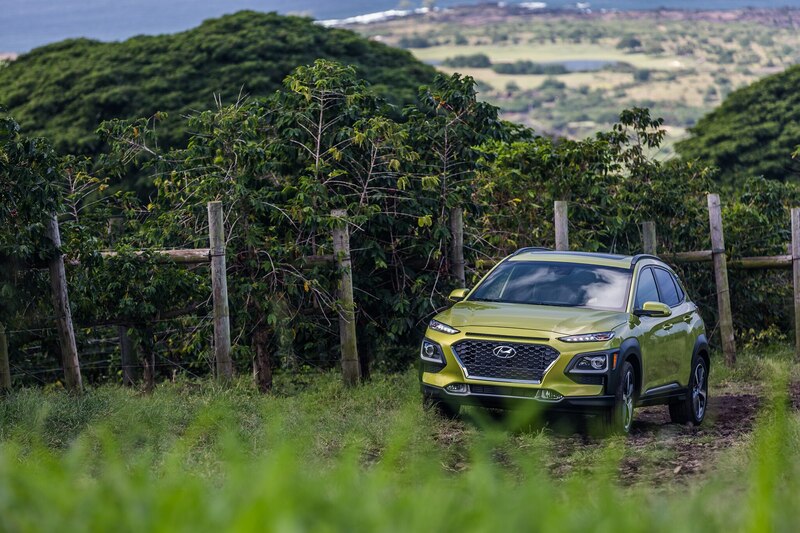 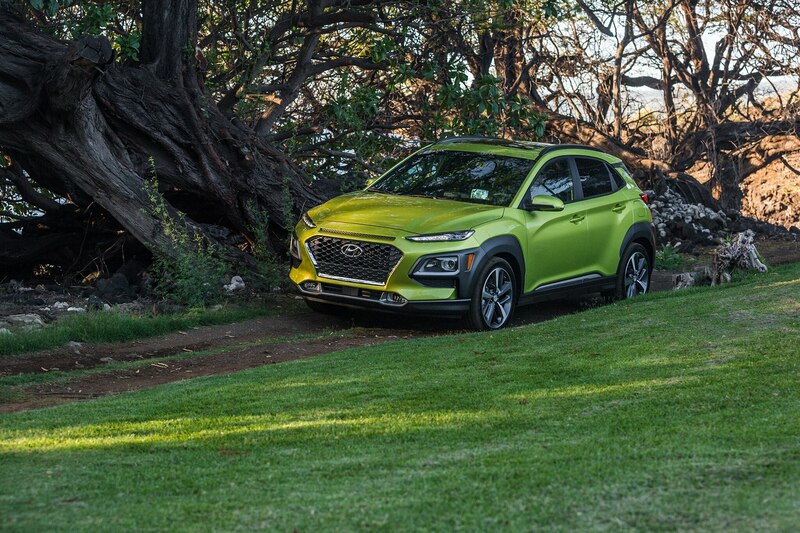 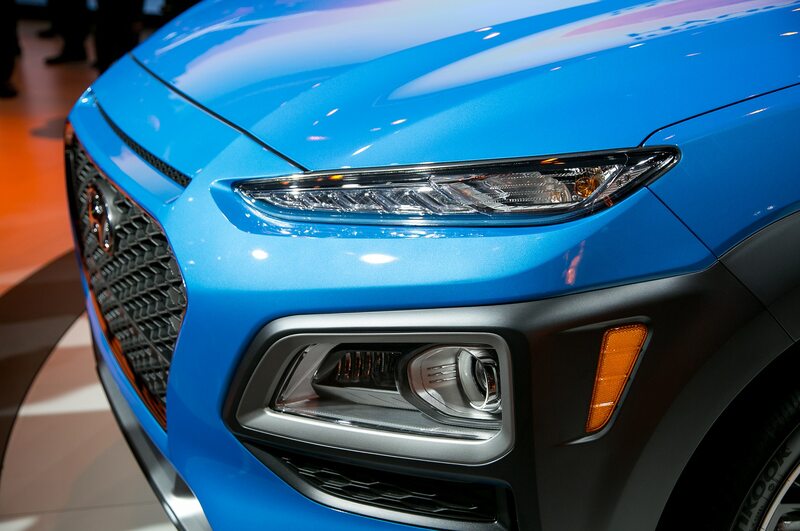 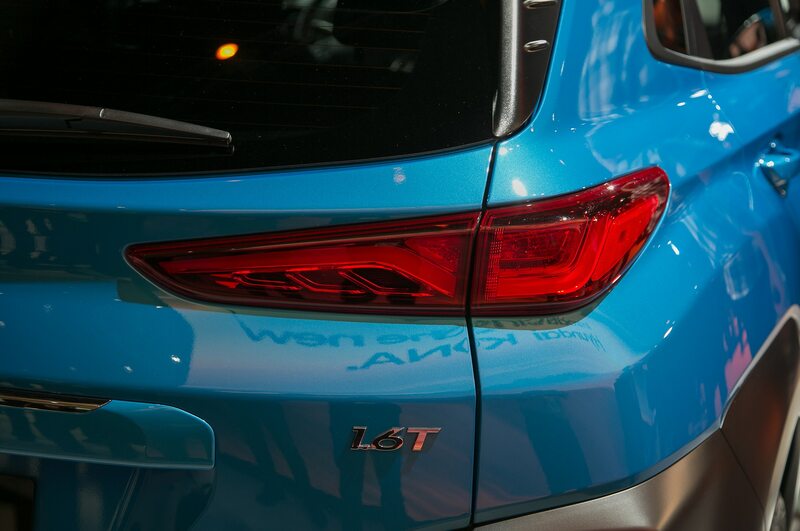 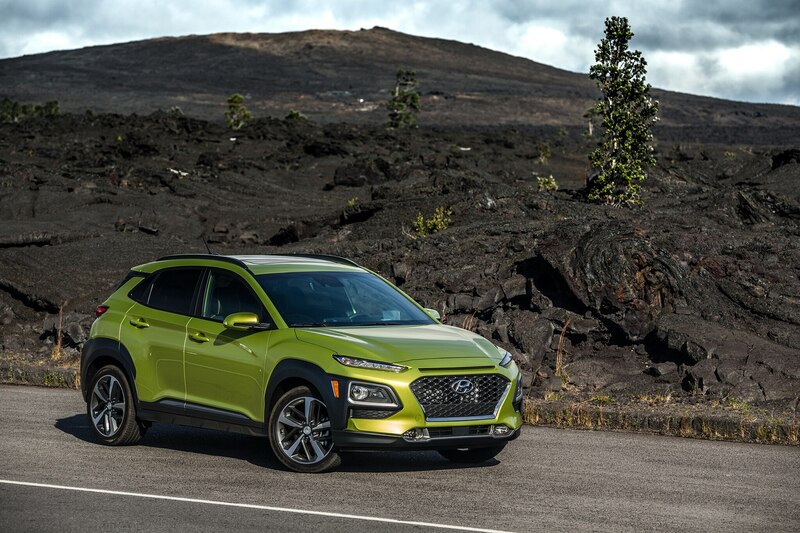 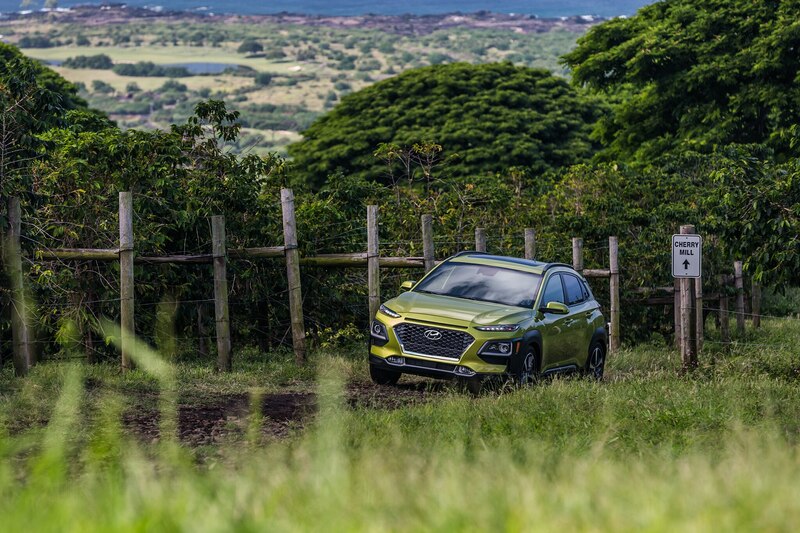 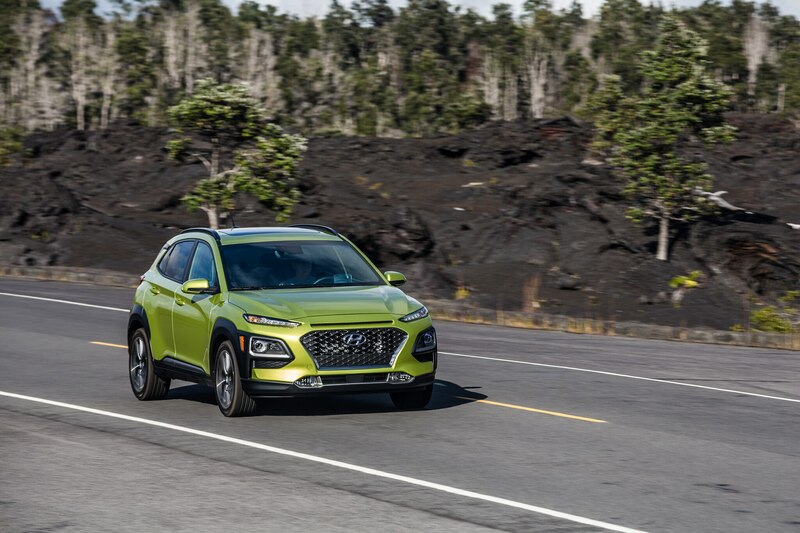 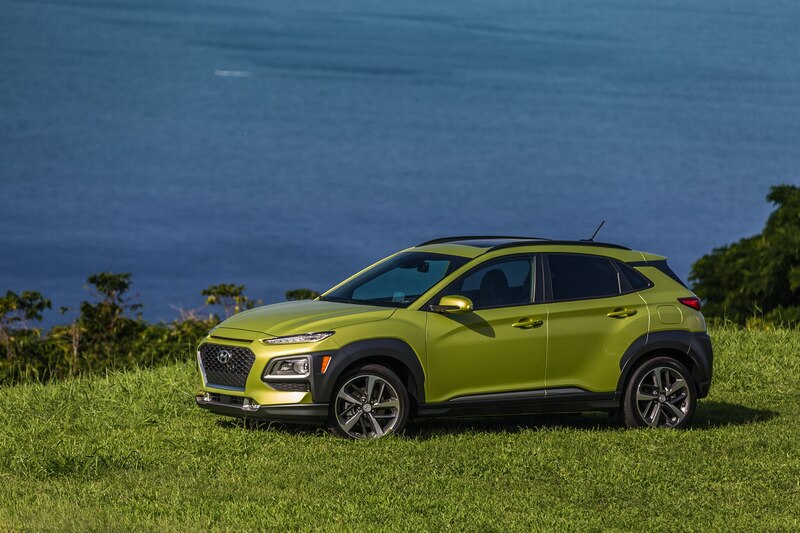 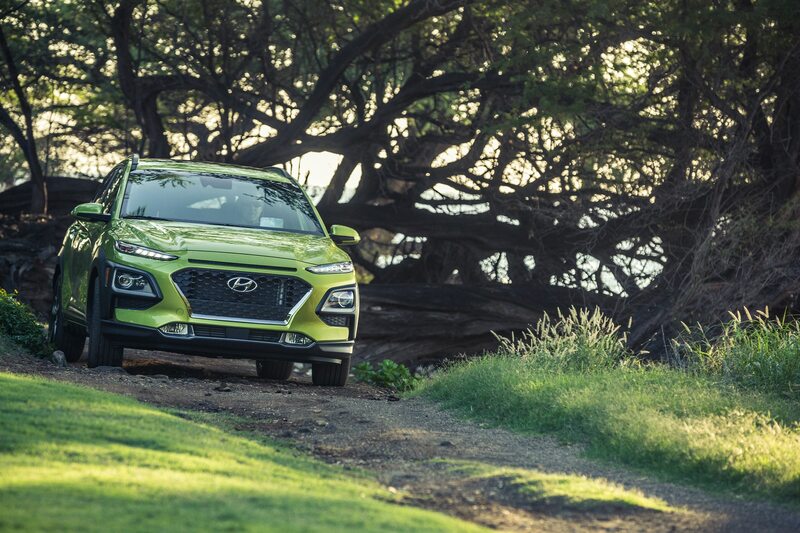 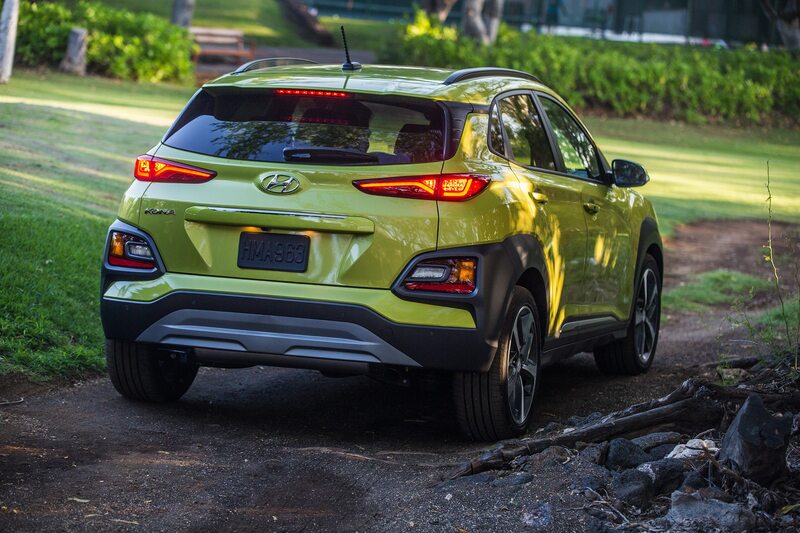 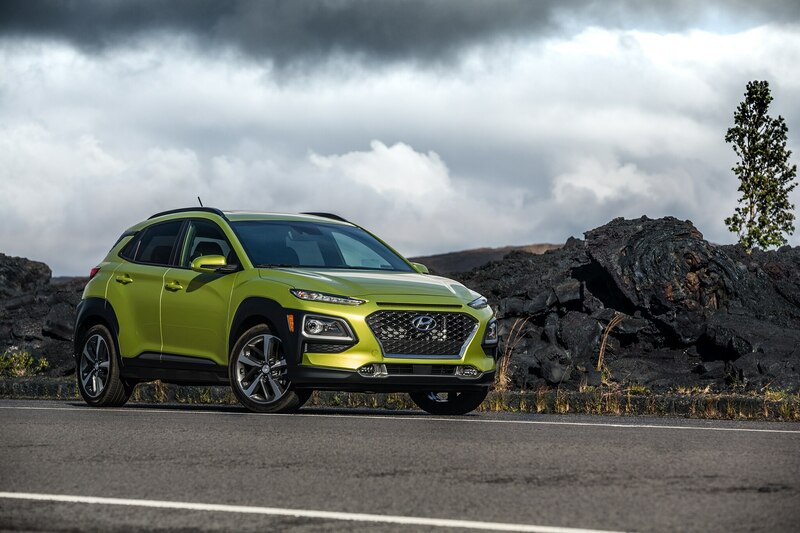 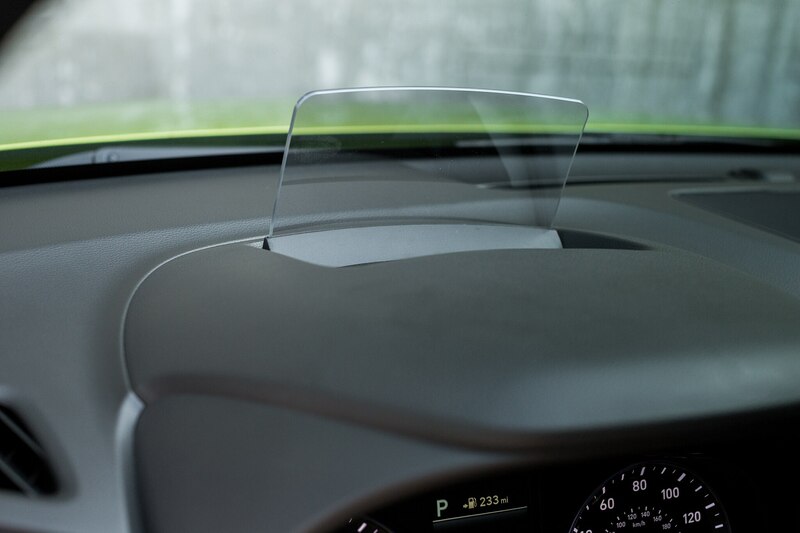 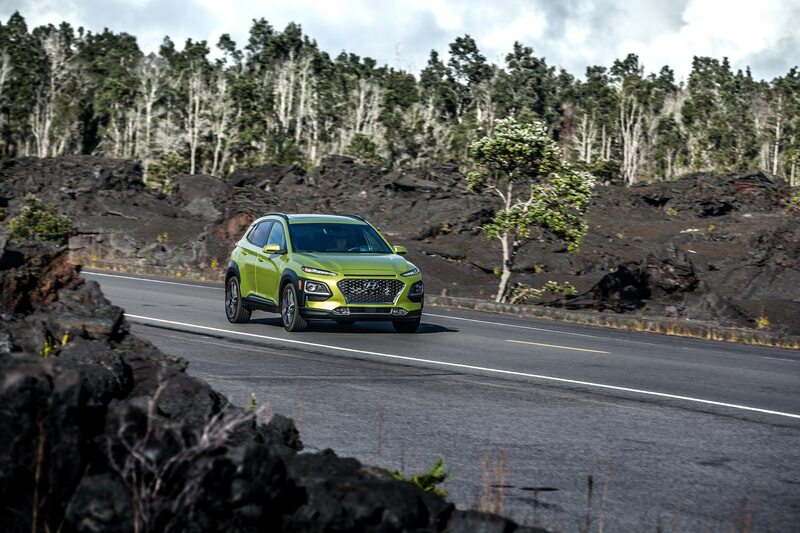 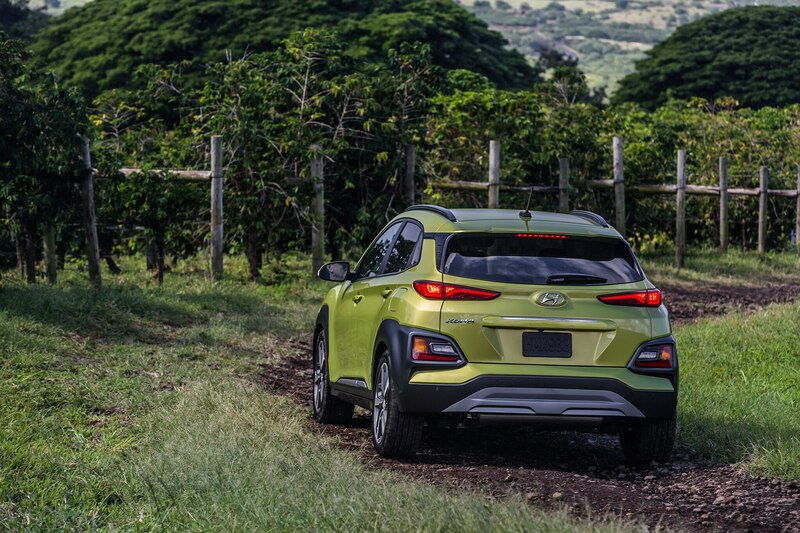 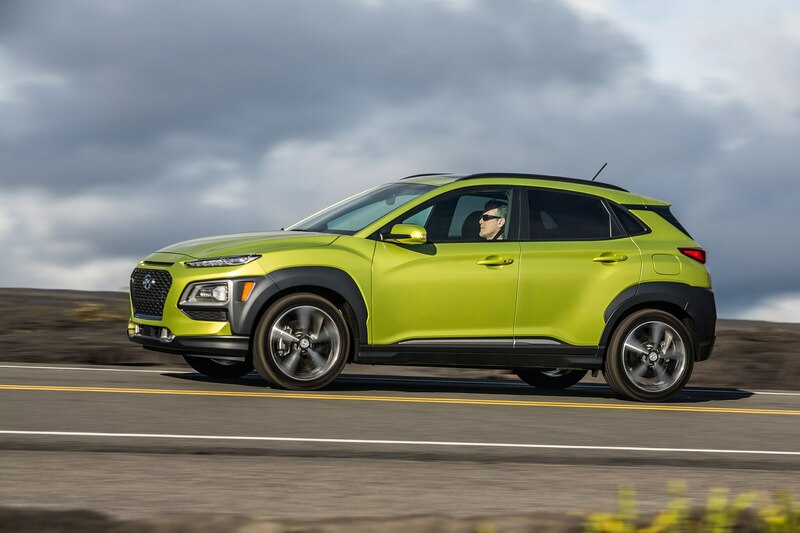 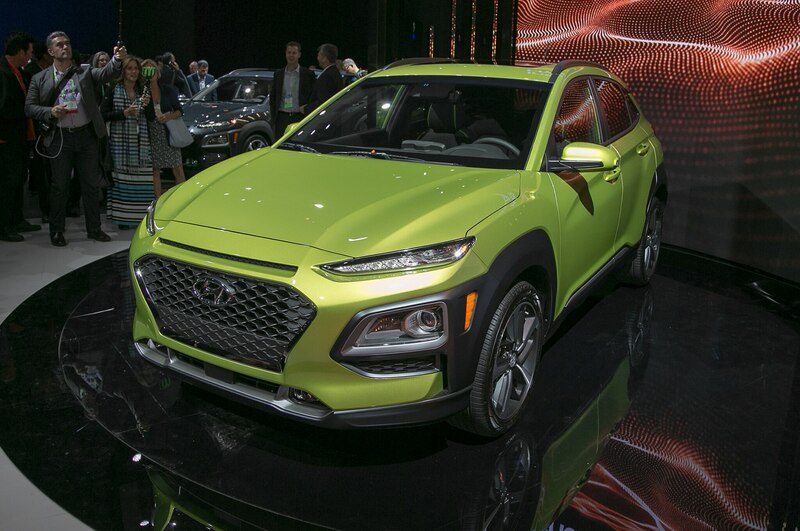 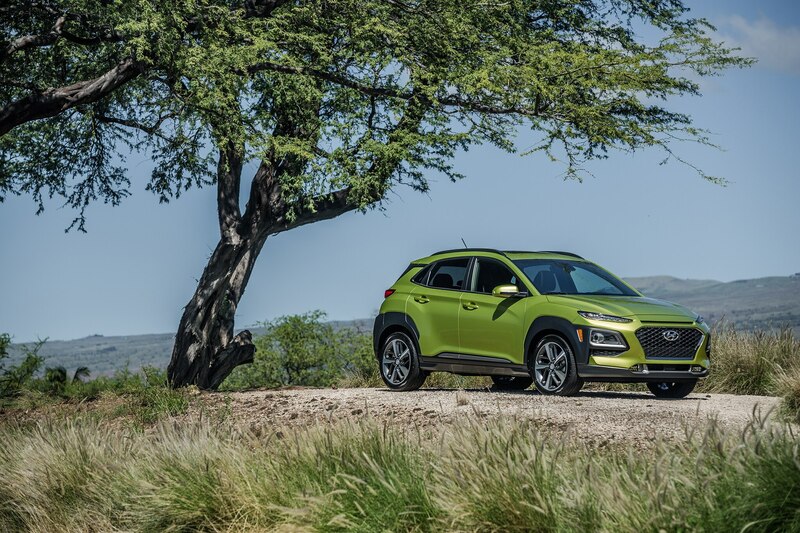 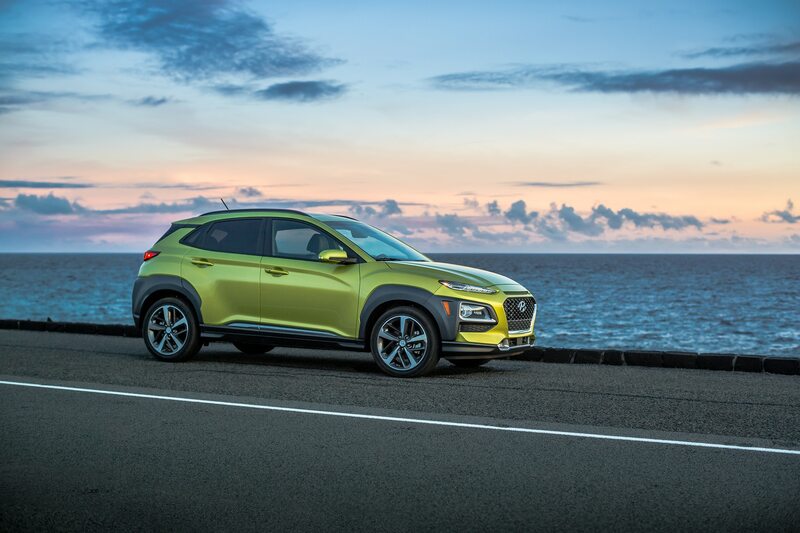 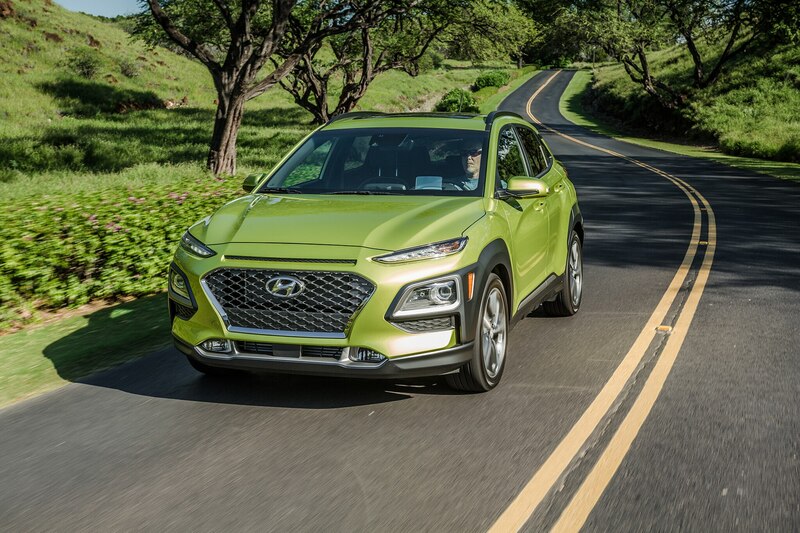 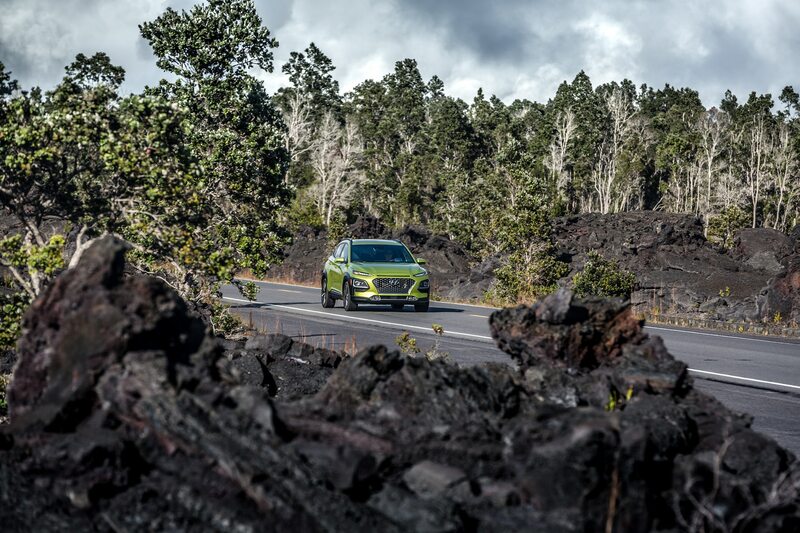 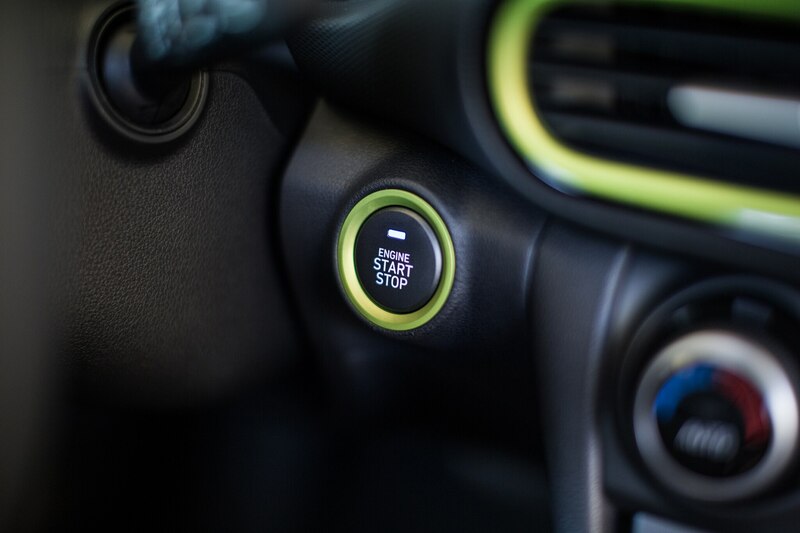 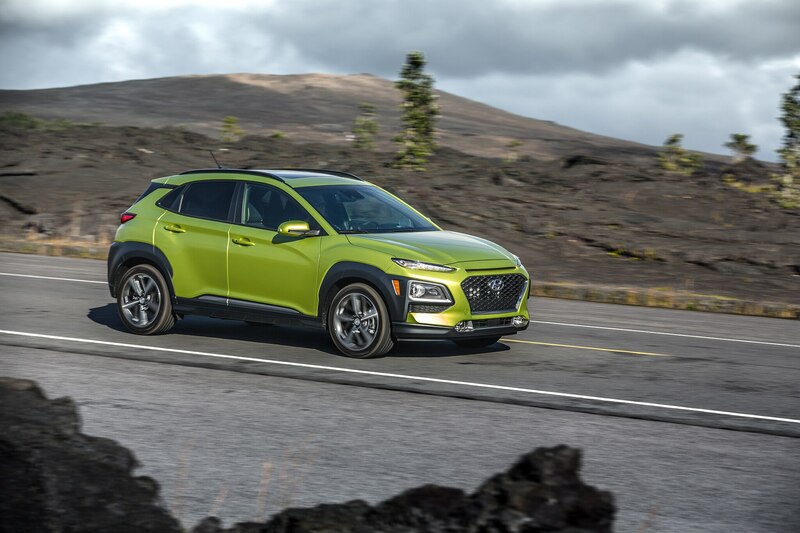 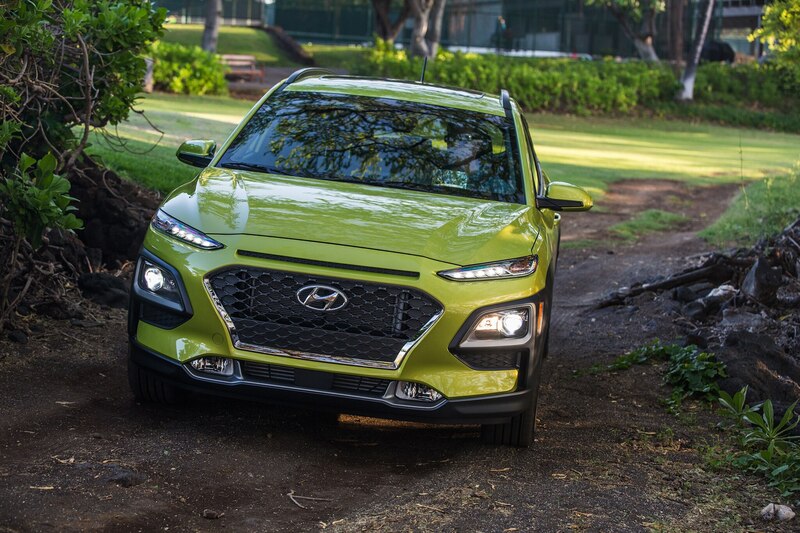 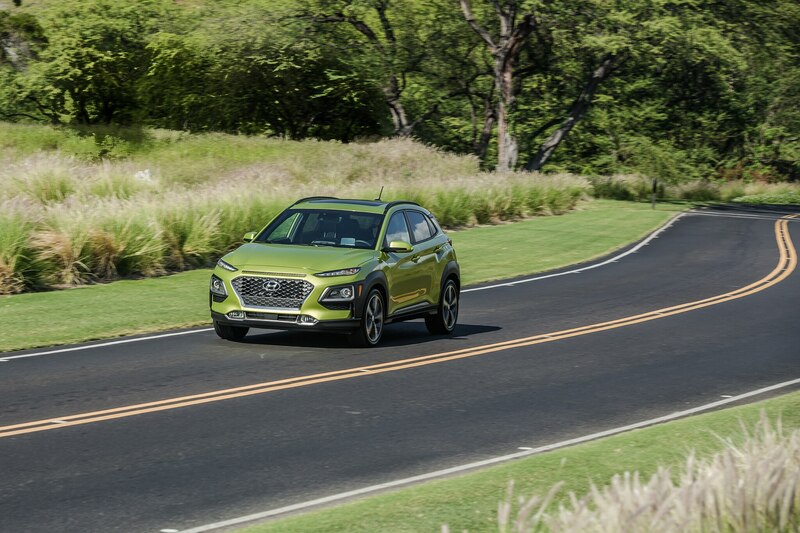 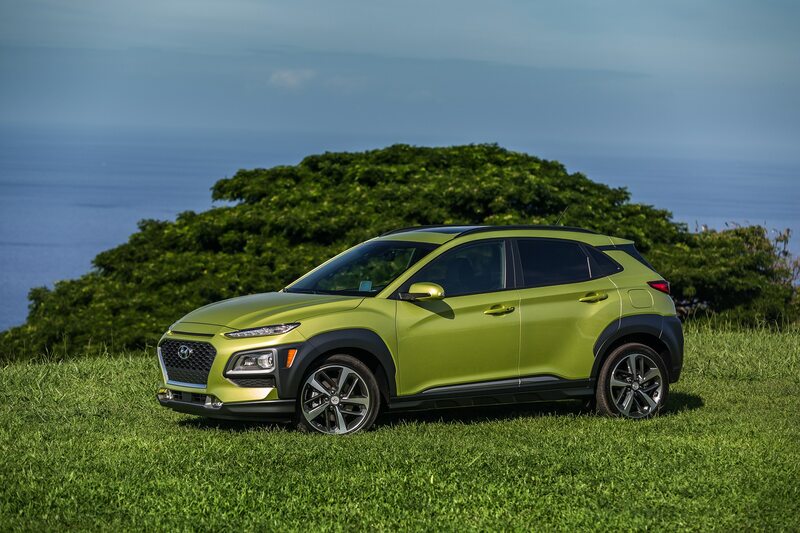 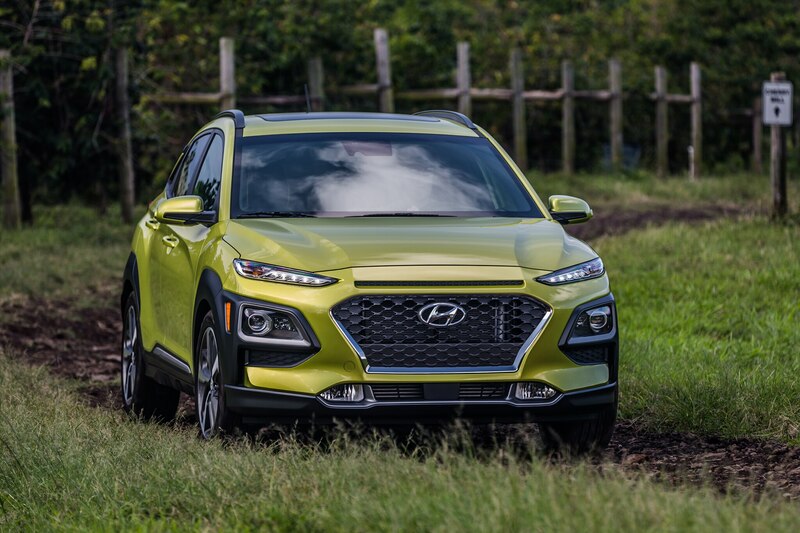 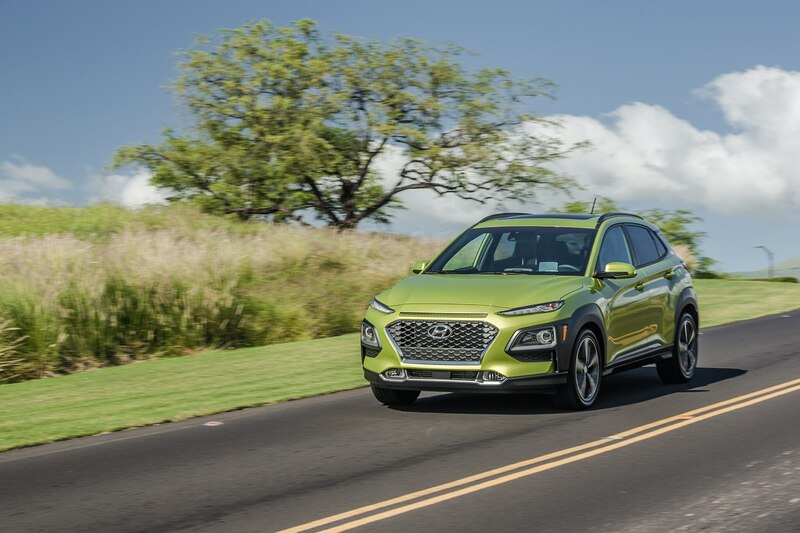 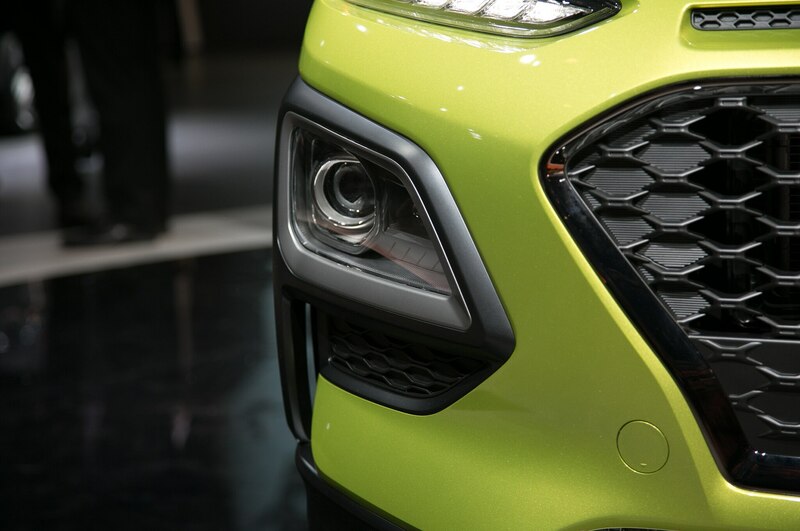 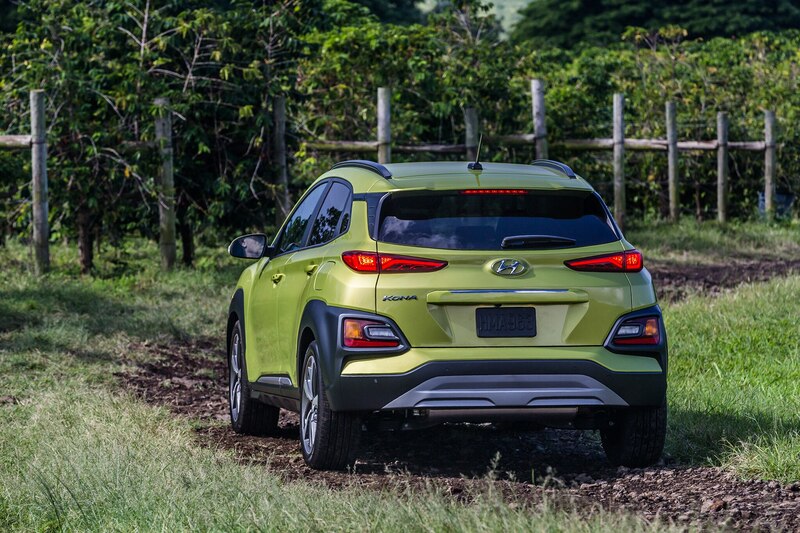 Similar to the rest of Hyundai’s lineup, the Kona can be outfitted with a suite of active safety systems, including forward collision warning and mitigation, lane keep assist, blind spot warning, rear cross-traffic warning, and automatic high-beams. 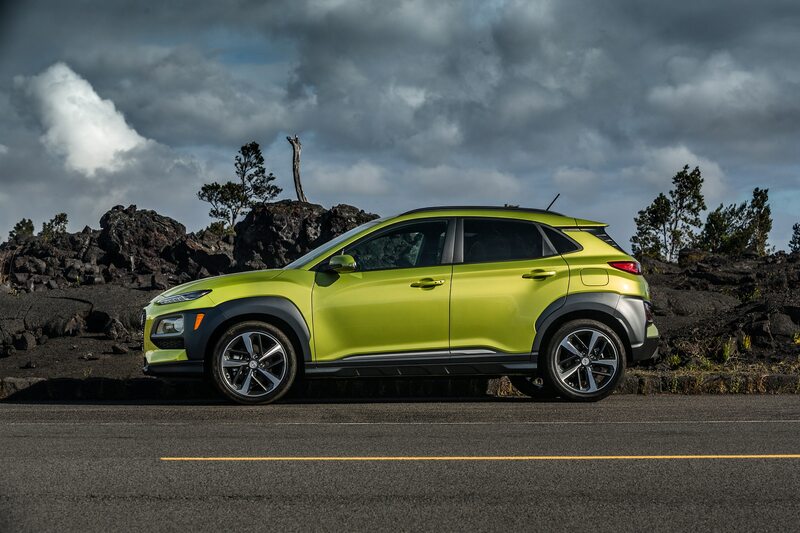 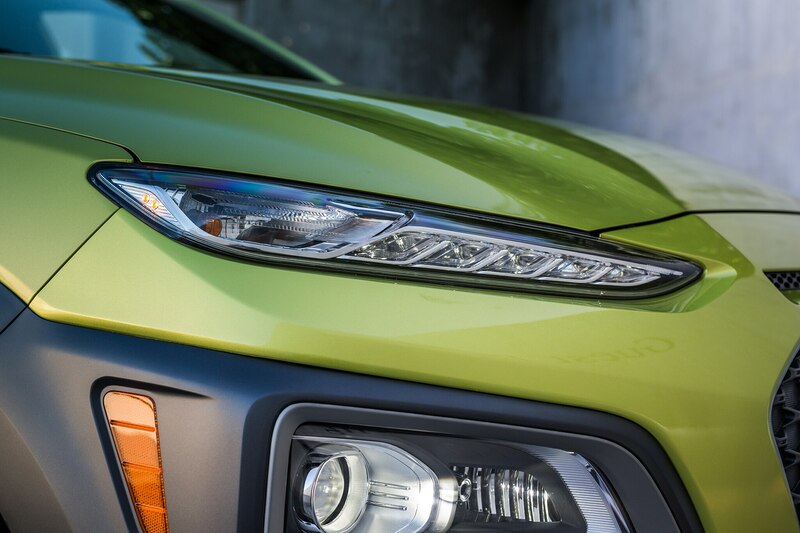 The 2018 Hyundai Kona arrives on U.S. dealer lots beginning early next year.